I loved the Science Fiction Motion Pictures of Bert I. Gordon from the 1950's and early 1960's. I started at the impressionable age of 9 years with his rip of an outer space T-Rex and moved to giant grasshoppers devouring Chicago. You knew what you were getting from Gordon. A dollar fifty movie budget that was a million dollars of fun. This is nothing more than an old man's memories of a time when imagination ruled the country and CGI and "Real 3-D" had not come around to ruin it. This is not a biography of the producer, writer, director and special effects technician, but a look at a group of motion pictures I saw as they came out between 1955 and 1965. The last when I was a month into the United States Navy and had to deal with a little thing called Vietnam as reality set in for me and America. 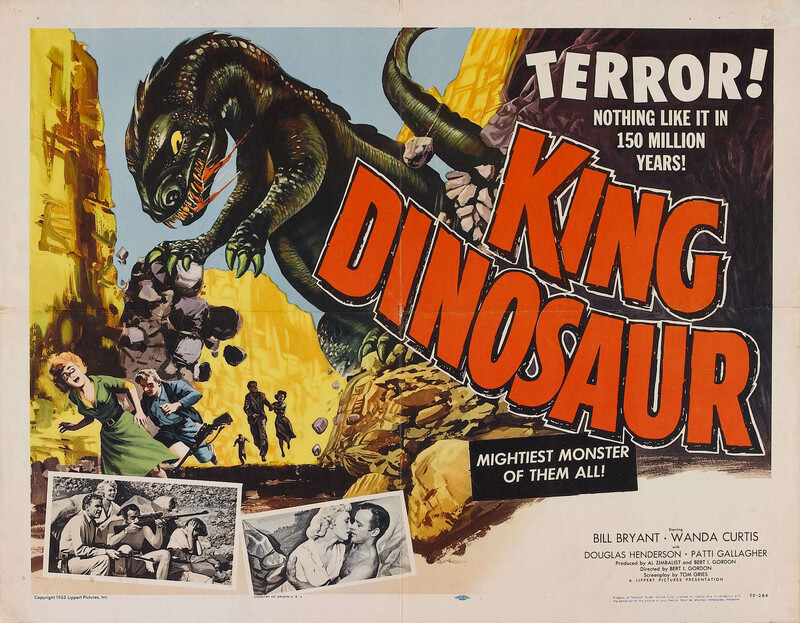 KING DINOSAUR released June 17, 1955. So what can you do with an estimated $15,000 1955 budget, or $139,584 at the time of this writing? Make a movie about two couples who are sent to a new planet that has entered our solar system to investigate the possibility of colonizing it. Discover that there are Earth like animals, but also giant spiders and other insects. Along with dinosaurs living on a an island with the title character. Supposedly a T-Rex that looks strangely like an Iguana. Eventually the two couples use an atomic bomb and blow the island up, forget the fall-out and radiation consequences the is 1950's America, killing all the dinosaurs and settle down to raise families. The film actually only had the four actors and all the footage of the military was stock. 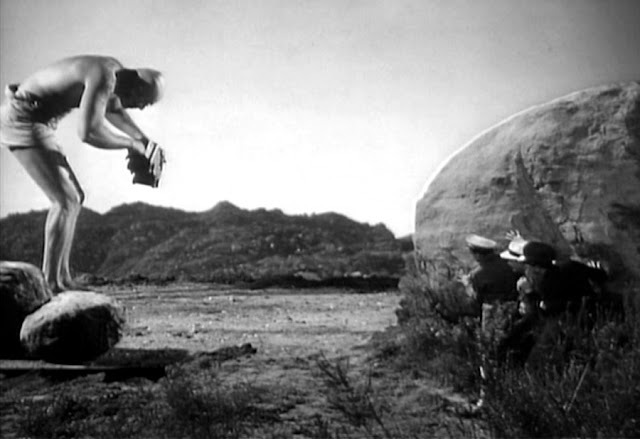 The attacking prehistoric Mammoth was also stock footage from Hal Roach's 1940 "One Million B.C.". The motion picture made money, but it was the next film that brought Bert I. Gordon's name to the forefront of Pre-Teen and Teen Science Fiction fans. Before I go into the story of this produced and directed Bert I. Gordon feature. A little background is needed about the period. Science Fiction motion pictures were reborn in the 1950's and that decade is considered the "Golden Age of Science Fiction Films". Two factors mainly contributed to that title. The First Factor were the Atomic Bombs dropped on Hiroshima and Nagasaki in 1945. The World had no concept of what the after affects from radiation really would be and that ESPECIALLY included the Scientists who created the bomb. 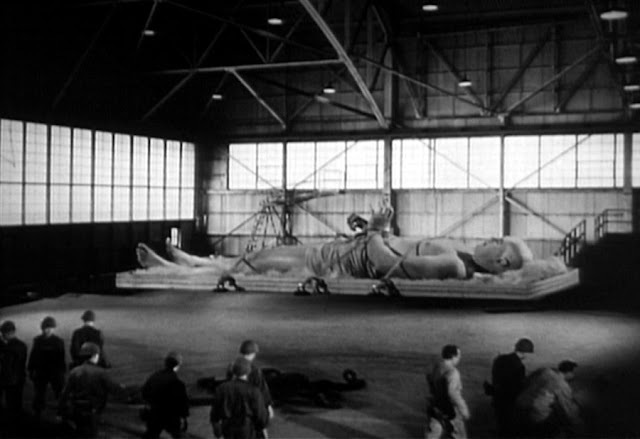 The year after World War 2 ended Metro-Goldwyn-Meyer made a motion picture about the "Manhattan Project". As Hollywood, in their dramatic style, told the story of the bomb's creation. The title is the same as this motion picture, but with one word difference. "The Beginning, or the End". Two major motion pictures came out in 1954. 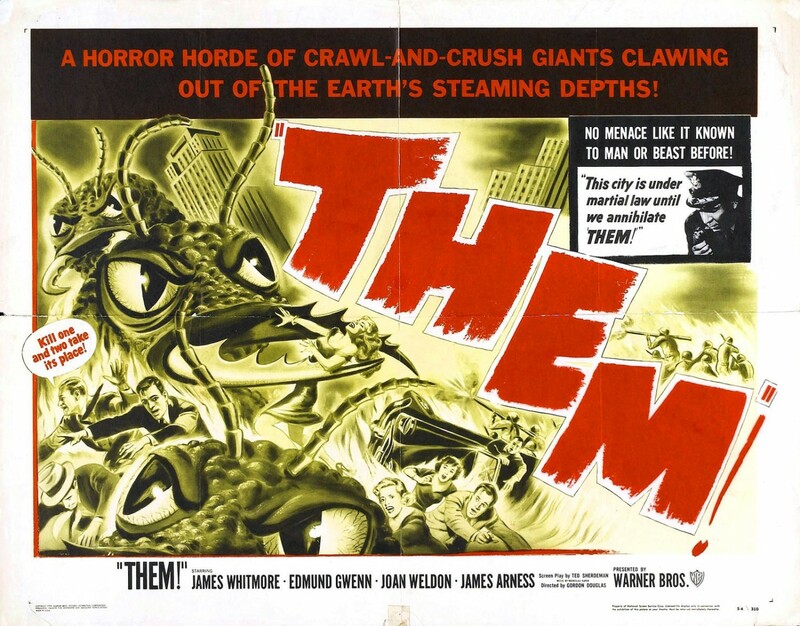 The first from Warner Brothers, on June 19th, was "THEM!". This picture was the first to imagine giant mutations having been created. The ants were irradiated by the radiation from the original tests of the atomic bomb during the "Manhattan Project". While in Japan the second feature was from Toho Studios released there on October 27, 1954. "GOJIRA" was a living prehistoric dinosaur that was exposed to radiation from the American Bikini Atoll H-Bomb test known as "Castle-Bravo". "Gojira (Godzilla)" becomes an allegory to the two bombs dropped upon Hiroshima and Nagasaki. The Second Factor was television. My reader must remember it was in the early 1950's that sets were becoming affordable to American families and the major stations CBS, ABC, NBC truly went nationwide. Also local stations were appearing in larger markets as well as the nationwide Dumont network. Americans were not going to the movies as they had prior to the decade. Entire families stayed home and watched "The Ed Sullivan Show", "Father Knows Best", "I Love Lucy" and Westerns such as "The Lone Ranger", "The Life and Times of Wyatt Earp" and "Wagon Train". Independent Motion Picture Studios started to rise as they discovered that Pre-teens and Teens could get money for tickets from their parents. Also on Friday and Saturday the new phenomenon the "Drive-In" movie theater brought them in with one price Car-Load admissions. These minor studios, some long forgotten, discovered that the new demographic of Teenagers loved Science Fiction and Horror films. In fact the newly merged studio American International Pictures was one of the leaders in this area. 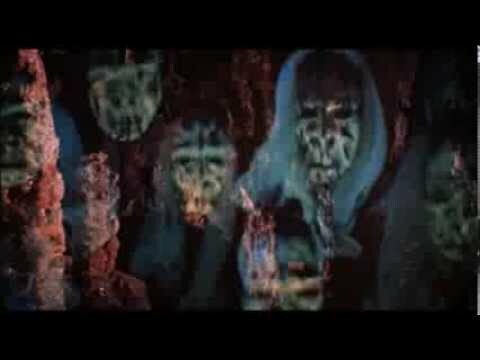 1956 is considered the point were 1950's Science Fiction and Horror motion pictures reached critical mass. 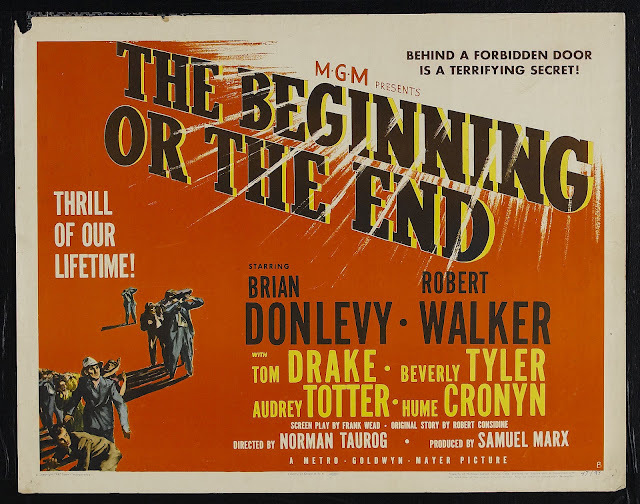 With such titles as "Forbidden Planet", "Earth vs the Flying Saucers", "The Werewolf", "World Without End", "It Conquered the World" and the original "Invasion of the Body Snatchers". Along with 17 other features for a total of 23. 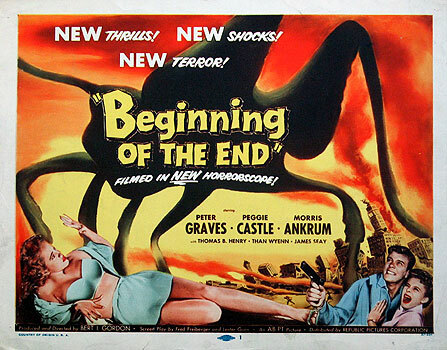 It was in 1956 that Bert I. Gordon decided to make his own giant insect monster movie and hired Fred Freberger and Lester Gorn to write a screenplay. Freberger worked on "The Beast from 20,000 Fathoms". During the 1960's he wrote for "Star Trek" and "Space 1999". The latter as the second season producer, besides head writer. As for Gorn this was his one and only screenplay. I mentioned long forgotten motion picture companies of the period. Actually my reader should know the one behind this film. It was financed by "AB-PT".. Which was actuality the very early arm of the "American Broadcasting Company (ABC)" entering motion pictures and their partner "Paramount Theatres". Which controlled the movie theaters still owned by Paramount Studios. Bert I. Gordon's completed feature would be distributed by Republic Pictures. Where "THEM!" dealt with lingering radiation from atomic testing and it's results on insect life. Fred Freberger and Lester Gorn looked at the imagined affect on insects from radioactive isotopes. To make their story either more chilling, or mundane, depending on how the 1957 audience viewed it. The isotopes were in use by "The Department of Agriculture" attempting to create new giant strains of fruits and vegetables. For the a means of stopping the worldwide food shortage being created by a growing population. 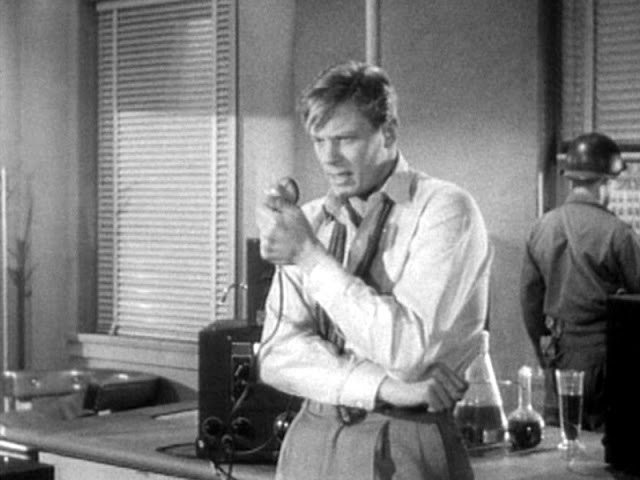 Portraying "Dr. Ed Wainwright" the head of the project was Peter Graves. Graves had appeared in Westerns, Gangster movies and television dramas by the time he made this picture. Among his motion picture work were three other Science Fiction movies. The 1952 Cold War Science Fiction "The Red Planet Mars", the even lower budgeted 1954 "Killers from Space" and Roger Corman's 1956 "It Conquered the World". Ten years after the release of the "Beginning of the End" Peter Graves would become "Jim Phelps" on television's "Mission Impossible". 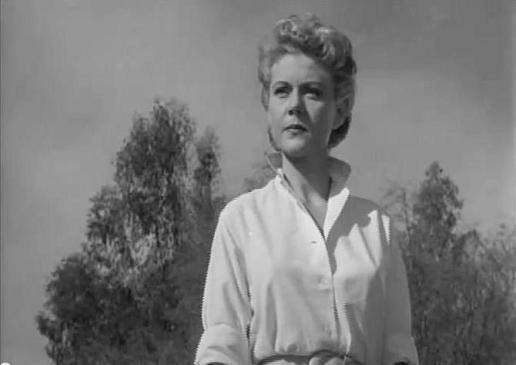 Portraying newspaper reporter and love interest "Audrey Aimes", Who had been a war correspondent during the Korean War was Peggie Castle. She was in the excellent low budget Cold War paranoia Science Fiction feature from 1952 the original "Invasion U.S.A.". Castle had appeared in several Westerns and War dramas on both the motion picture and television screens before this picture. The story opens with "Audrey Aimes" being stopped at a road block and discovering an entire town has been leveled and every person living in it missing. This will lead her to a research station of "The Department of Agriculture". "Dr. Ed Wainwright" and his deaf and mute assistant "Frank Johnson" portrayed by Than Wyenn. Below left to write Castle, Graves and Wyenn. "Wainwright" has no idea about what could have happened to Ludlow, Illinois. He explains that the isotopes they're using are very low and actually harmless to humans, Typical 1950's thinking at the time. "Frank" and "Ed" show "Audrey" some of the giant tomatoes and other vegetables they have been creating. Then adds, as an afterthought, about all the problems they've been having with small animals and insects. Adding that recently some locust got into the greenhouse. The set up for the giant grasshopper has been made. This is followed by "Frank" being eaten. Giant mutated Locust, from eating their veggies, are destroying towns and people as they head for Chicago. Enter Morris Ankrum, a familiar face in 1950's science fiction, as "Army National Guard General John Hanson". Three of his films were 1950's "Rocketship X-M", 1951's "Flight to Mars" and 1953's "Invaders from Mars". The giant locust attack Chicago and the military attempts to destroy them are failing. 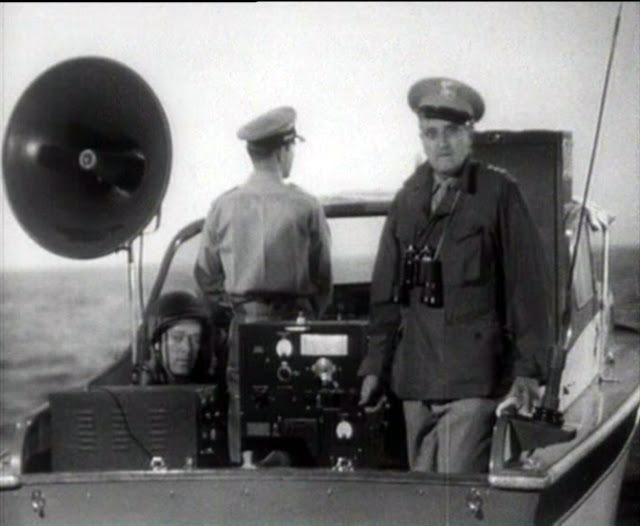 Meanwhile "Dr. Wainwright", "Audry Aimes" and "General Hanson" work upon a plan to lure them into the Lake Michigan by recreating the sounds the locust make to each other. During the above sequence of the giant locust claiming the building. Some the real grasshoppers walked off the photograph they had been placed upon. Not wanting to waste money on a re-shoot. The sequence was left in the released movie. We see grasshoppers half on and half off the building and one actually in the air beside it. The fun of low budgets and Bert I. Gordon. In the end the locust swarm into Lake Michigan and drown and "Ed" gets "Audrey". 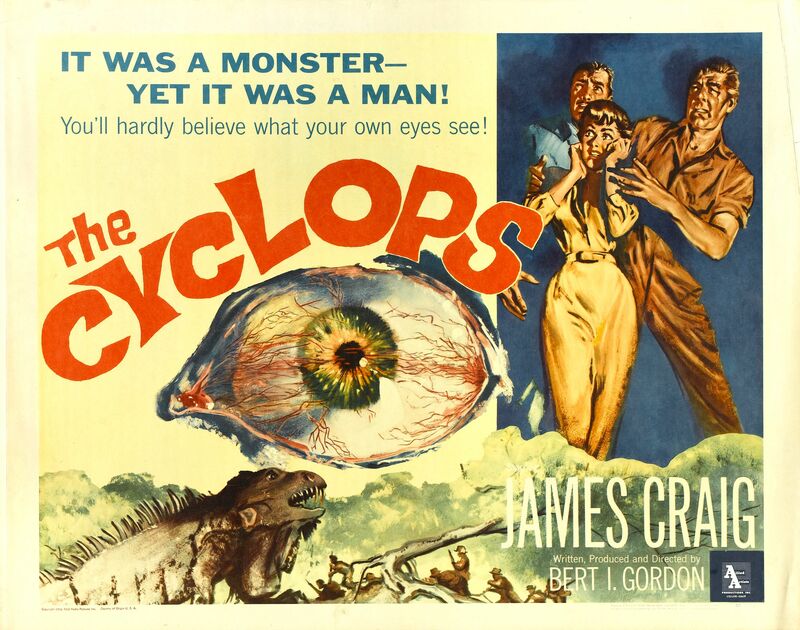 THE CYCLOPS released July 28, 1957. The second variation of Atomic radiation and its effects from Bert I. Gordon was released only one month after "The Beginning of the End". "The Cyclops", or "Cyclops" tells the story of the girlfriend of a test pilot who goes missing. She organizes a search party into the jungles of Mexico to find him. 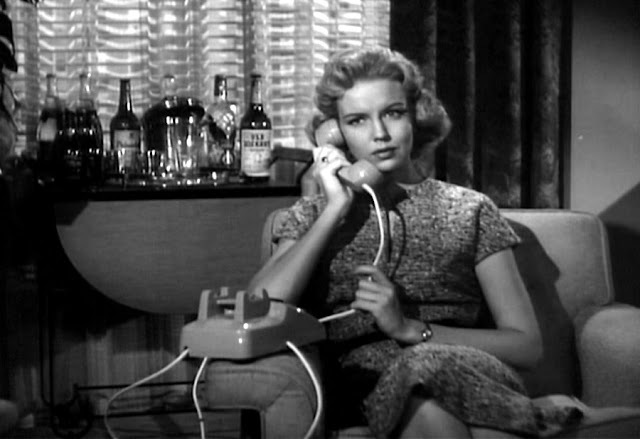 Portraying "Susan Winter" was Gloria Talbott. Basically she was a television actress and as I mentioned her story can be read on the above link. 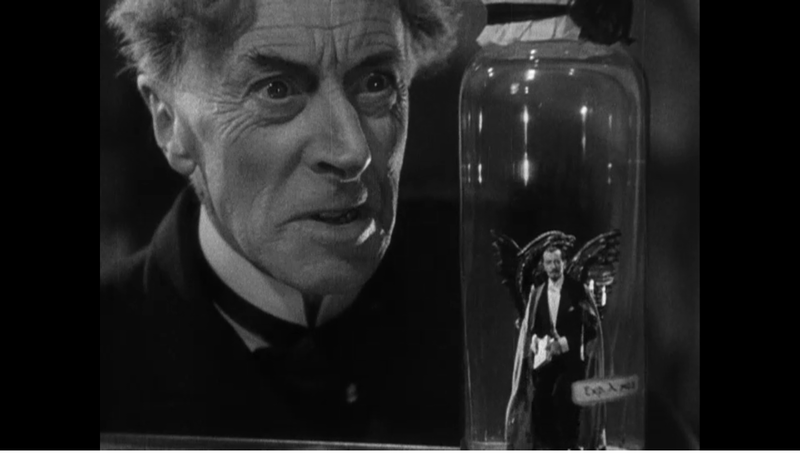 Besides "The Cyclops" Talbott appeared in both "Daughter of Dr. Jekyll", released on a double bill with "The Cyclops", and "The Leech Women". Part of her search party is scientist "Dr. Russ Bradford" portrayed by "B" action star James Craig. Craig started as a contract player at MGM, because he looked like Clark Gable who was serving in the military. Craig would appear in many Westerns and Detective thrillers before moving to television. Tom Drake, above with sun glasses, portrayed "Lee Brand" Drake was also a contract player for MGM and appeared in many musicals of the 1940's. He was "The Boy Next Door" that Judy Garland sang about in "Meet Me in St. Louis" and composer Richard Rodgers in "Words and Music". 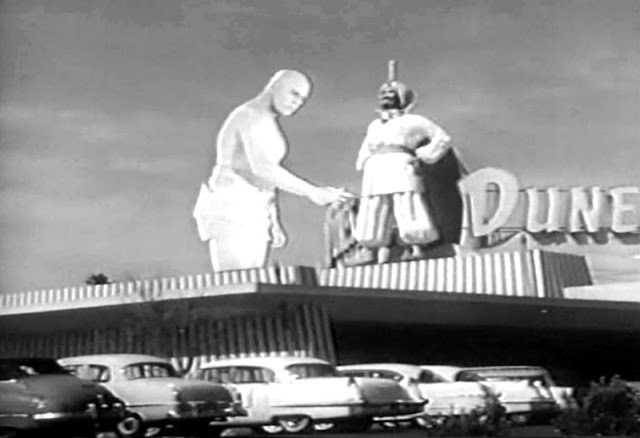 Drake also moved to television appearances in the 1950's. The search party finds a remote valley that has a source of atomic radioactivity from massive radium deposits. 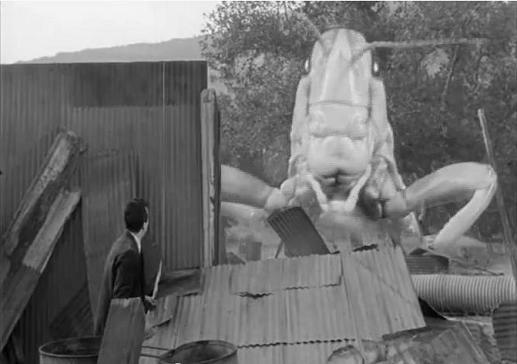 There are giant insects and other animals as a result including "Susan's" brother. His plane crashed into the valley and over time he grew into the title character. Above is actor Duncan 'Dean" Parkin doing his best "Cyclops". He would return in a similar role in 1958. The screenplay for this picture was solely by Bert I. Gordon. 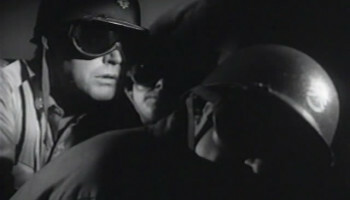 The film ends, after "Melville" has been killed, with the "Cyclops" attempting to prevent the group from flying to safety. They have to shoot him and he dies. IF one giant man brought in the targeted Teen and Pre-teen audiences. Why not another? 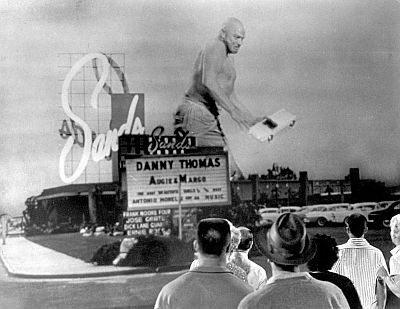 THE AMAZING COLOSSAL MAN released October 25, 1957. I had only turned 11 years old, 9 days earlier, when I went to see this Bert I. Gordon entry. I can't tell you the name of the movie theater I saw it at, but I remember it was on a double bill with "The Girl in the Kremlin" starring Lex Barker and Zsa Zsa Gabor. I remember it, because the film was that good and played upon the politics and conspiracy rumors revolving around Stalin's death. 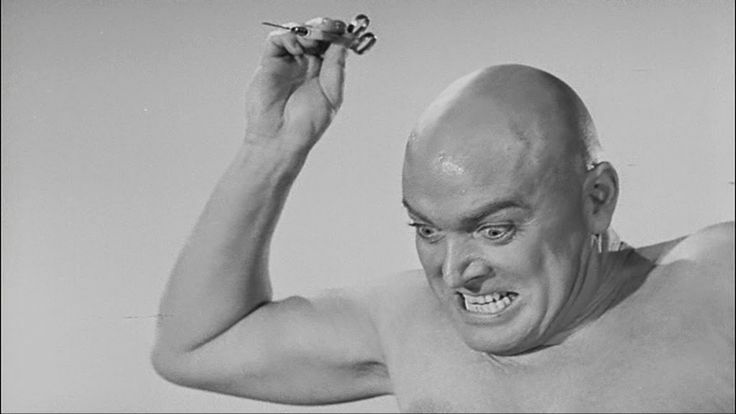 As a means of drumming up interested for "The Amazing Colossal Man". Across the country in major television markets a representative of American International Pictures was a guest on local children's television programs. 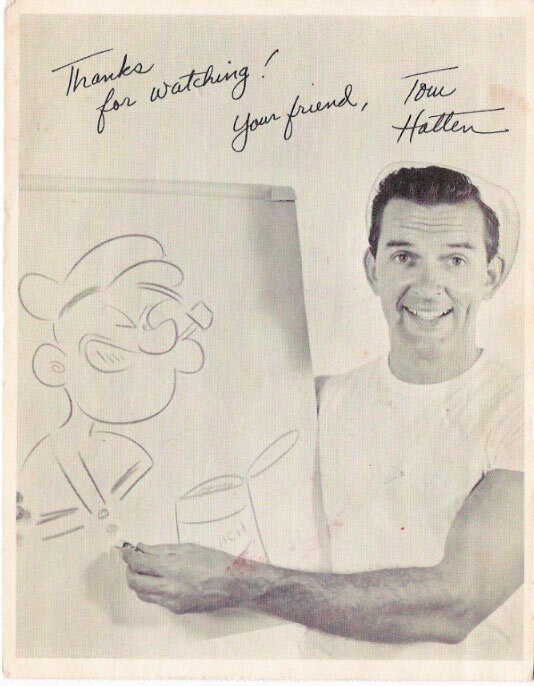 In Los Angeles he was on "Popeye and Friends" hosted by Tom Hattan on KTLA, Channel 5. AIP's representative brought in some of the props used in "The Amazing Colossal Man" of the Las Vegas Hotels. It worked with me. This time the film played off of not even a Hydrogen Bomb, but one made of Plutonium. Actor Glenn Langan, with his first name spelled Glen, portrayed "Lieutenant Colonel Glenn Manning". An original first name for the character. Langan had been acting since 1939 and appeared in several major 20th Century Fox movies including the World War 2 films "A Wing and a Prayer", "A Bell for Adano" and the musical "Something for the Boys". He was third billed behind actress Gene Tierney and actor Vincent Price in 1946's Dragonwyck", had fifth billing behind Linda Darnell, Cornel Wilde, Richard Greene and George Sanders in Otto Preminger's 1947 "Forever Amber" and was also fifth billed in Olivia de Havilland's 1948 "The Snake Pit" among other roles. But for all his excellent work in films and television. 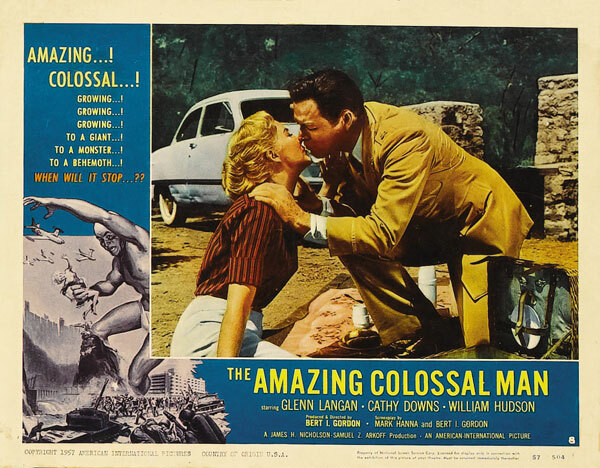 It is "The Amazing Colossal Man" that Glenn Langan is remembered for. 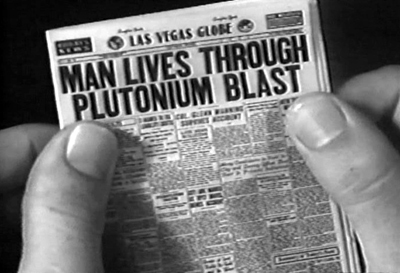 The story opens with a count down for the testing of the Plutonium Bomb. When a small airplane crashes in the test area and it can be seen that somebody is alive in it. "Lieutenant Colonel Glenn Manning" rushes out to save that person when the bomb goes off. What happens to him is not shown at this point. 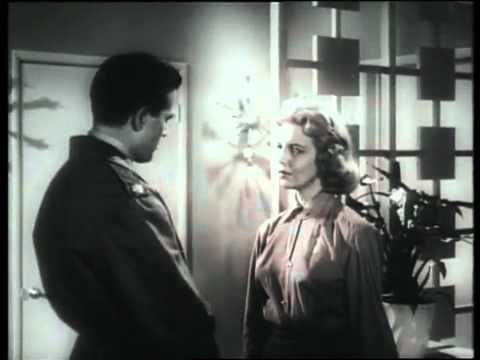 His fiancee "Carol Forest",portrayed by Cathy Downs, goes to the military to find out why she's had no contact with him. Downs had been acting since 1945. In 1946 she was "Clementine Carter" in John Ford's retelling of the "Gun Fight at the OK Corral" with Henry Fonda as "Wyatt Earp" in "My Darling Clementine". She appeared in "B" movies until television came in. 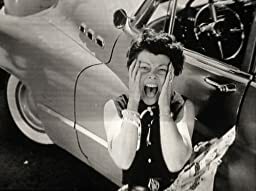 After this picture, in 1958, Cathy Downs appeared in a revised remake of 1953's 3-D "Cat-Women of the Moon" on an even lower budget entitled "Missile to the Moon". In 1956 she had third billing in the original "The She Creature" starring 1930's/1940's actor Chester Morris and a Val Lewton stalwart Tom Conway. Below Cathy Downs as "Carol Forest'" in one of "Glenn Manning's" dream sequences. "Carol" is finely told the truth and meets with "Glenn". Then she is informed that although "Glenn's" outer body is growing too gigantic proportions. That his heart and other organs remain the size of a normal man and will eventually not function. Meanwhile "Glenn" is going insane and wants out of his confinement. The Military Doctors think they have found a way to reduce "Glenn's" body back to normal. They show "Carol" what they have accomplished by shrinking a camel and elephant to doll size. It appears that all that remains is to inject "Glenn Manning" with the serum and he should return to his normal size, but "Manning" escapes and heads for Las Vegas. This is the sequence all that pre-release publicity has the audience waiting to see, Even if we could literally see right through him in several shots. 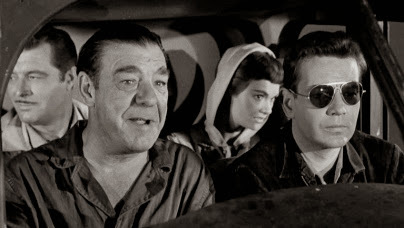 "Carol" and the Military Doctors head first for Las Vegas and then hear "The Amazing Colossal Man" is going toward Hoover Dam. Which becomes the site of the film's climax. 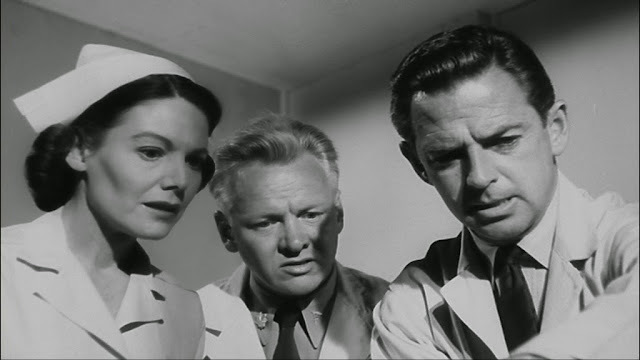 "Carol" and the doctors attempt to explain to the now mostly insane "Lieutenant Colonel Glenn Manning" about the serum in the syringe. They run at him and inject it into his foot. "Manning" in a rage pulls it out and throws it at one of the men killing him. "Manning" then continues toward Hoover Dam followed by army troops. For a moment he has "Carol" in his hands, but lets her go and the troops open fire. 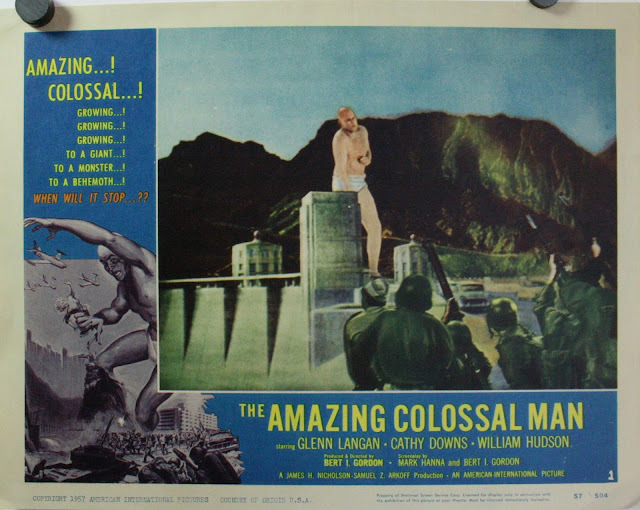 "The Amazing Colossal Man" then falls over the dam wall to his death. In 1958 Bert I. Gordon thought he would go in the opposite direction from giant men, or at least with one picture. 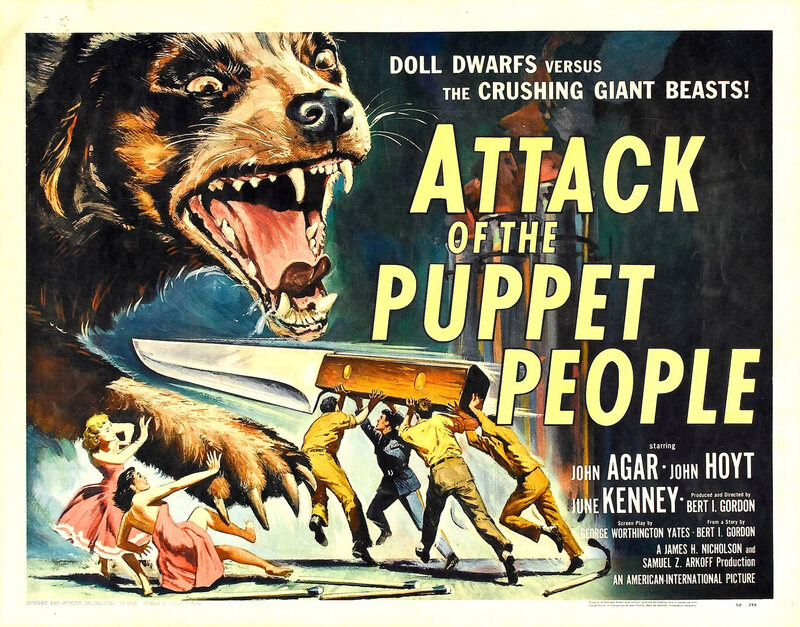 ATTACK OF THE PUPPET PEOPLE released in April 1958. Back on May 6, 1935 Universal Studios released "The Bride of Frankenstein" that contained chemically created miniature people. On July 10, 1936 Metro-Golden-Meyer released "The Devil Doll" In it a man devises a formula to also create miniature people. 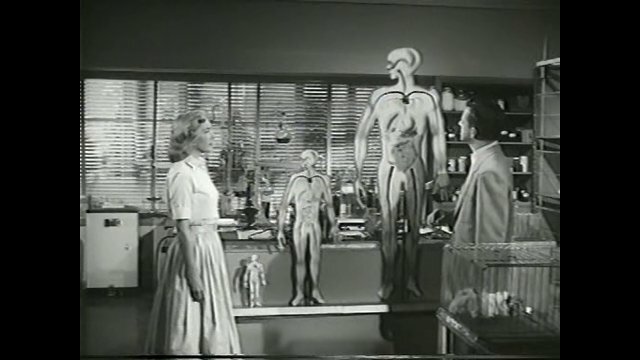 In 1940 Paramount Pictures released "Dr. Cyclops" about a scientist who develops a way to shrink people to doll size. 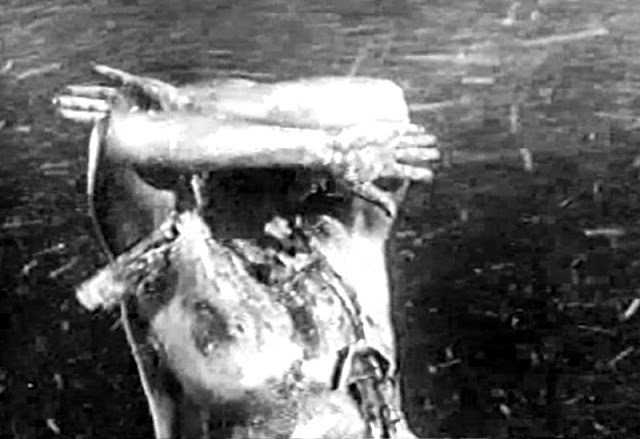 In 1957 Universal International brought the story of a man affected by radiation. 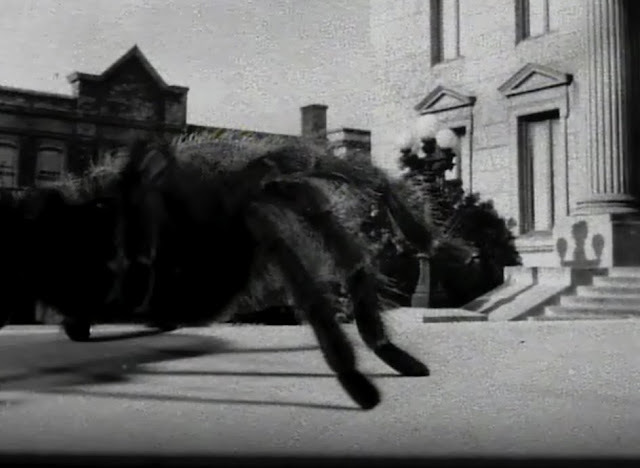 He becomes Richard Matheson's classic "The Incredible Shrinking Man" to box critical and box office success. So it was no surprise that one year later Bert I. Gordon got into the act. Portraying "Sally Reynolds" who becomes both the secretary to the "Kindly Doll Maker" and "Bob's" new girlfriend was June Kenney. Kenney's acting career last only 10 years for 23 roles, but some of those were in fun low budget pictures. 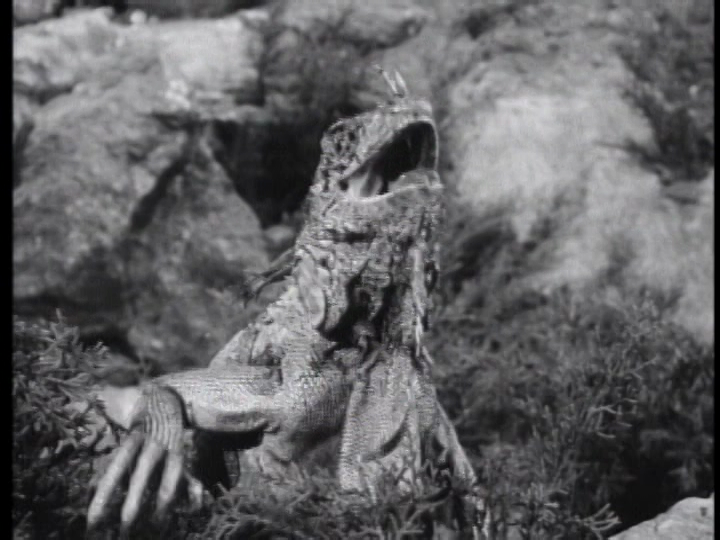 Such as three by Roger Corman all in 1957. They were "The Saga of the Viking Women and Their Voyage to the Waters of the Great Sea Serpent", "Teenage Doll" and "Sorority Girl". Below June Kenney and John Agar. 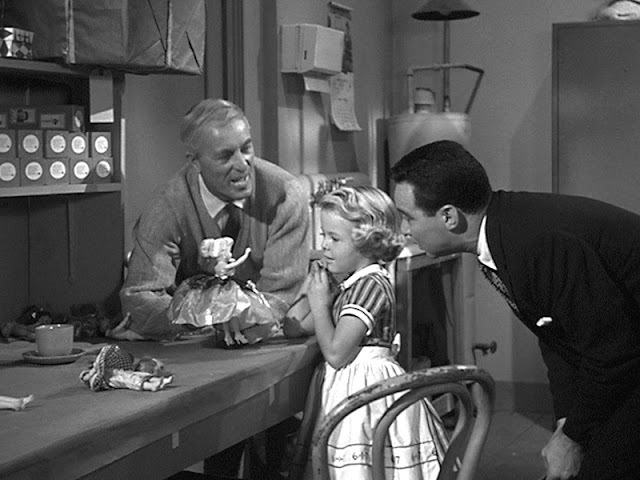 Portraying that "Kindly Doll Maker", "Mr. Franz", who is really shrinking people to doll size was John Hoyt. Hoyt had been acting since 1946 in movies crossing all genres. 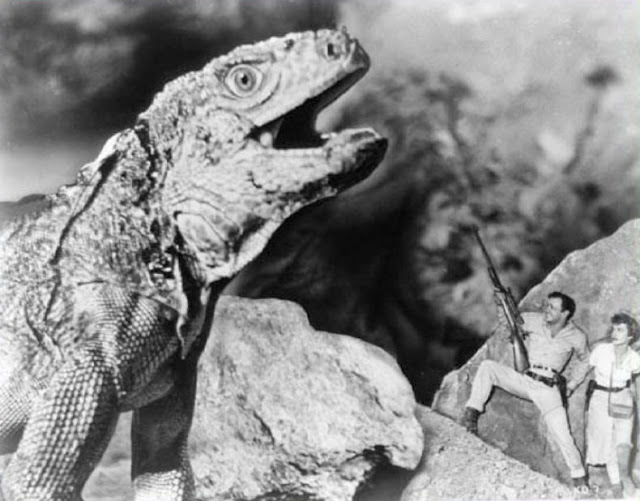 His Science Fiction work included two in 1951 "The Lost Continent" and George Pal's "When Worlds Collide". In the same year he was in the James Mason bio film "The Desert Fox: The Story of Rommel". The following year he was seen in the Richard Greene and Boris Karloff Horror picture "The Black Castle" and in 1953 Hoyt did Shakespeare in the Marlon Brando and James Mason version of "Julius Caesar". 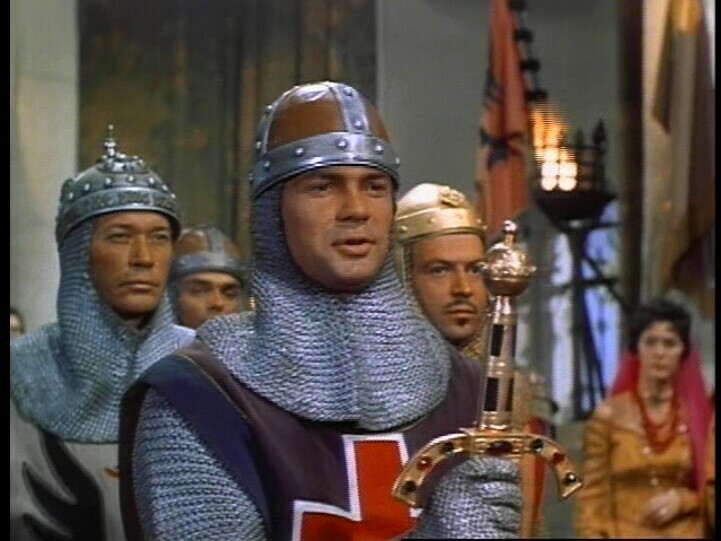 The actor, like many others, was now guesting on television, but in 1956 was in Howard Hughes produced "The Conqueror" starring John Wayne as Genghis Khan . "The Attack of the Puppet People" was nothing more than their escape from the very lonely "Mr. Franz". Below the dog scene from the film shown on the above poster. 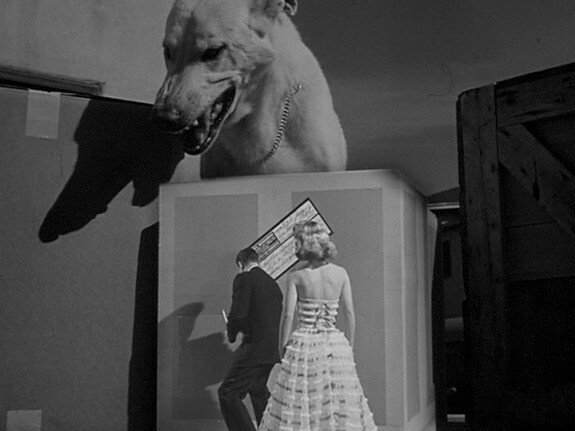 Note the scene with the pet cat from "The Incredible Shrinking Man" that this seems to be a copy of. In "Dr. Cyclops" it was only a matter of time, before the people he had shrunk returned to normal size. 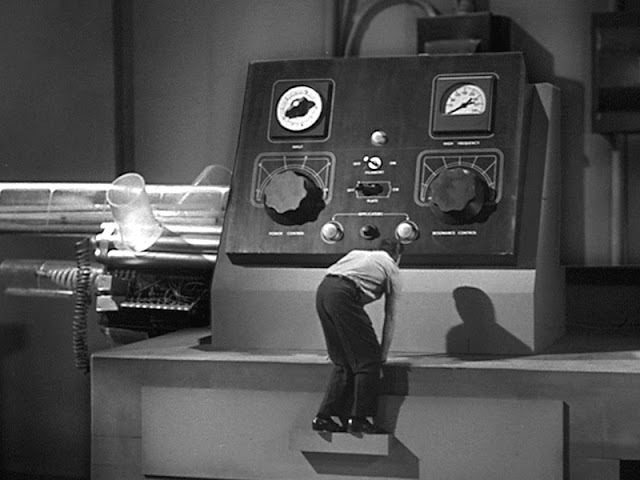 In Bert I. Gordon's "The Attack of the Puppet People" it is up to "Bob" to reach the control panel to restore everyone's size and leave "Mr. Franz" still a lonely man. The movie was originally called "The Fantastic Puppet People". 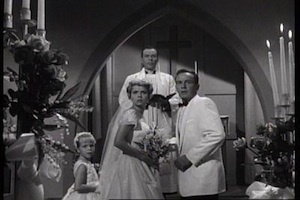 The little girl in the following scene was Bert I. Gordon's daughter Susan making her first on screen appearance as "Agnes". After "Puppet People" Bert I. Gordon returned to giants once again for his next film. 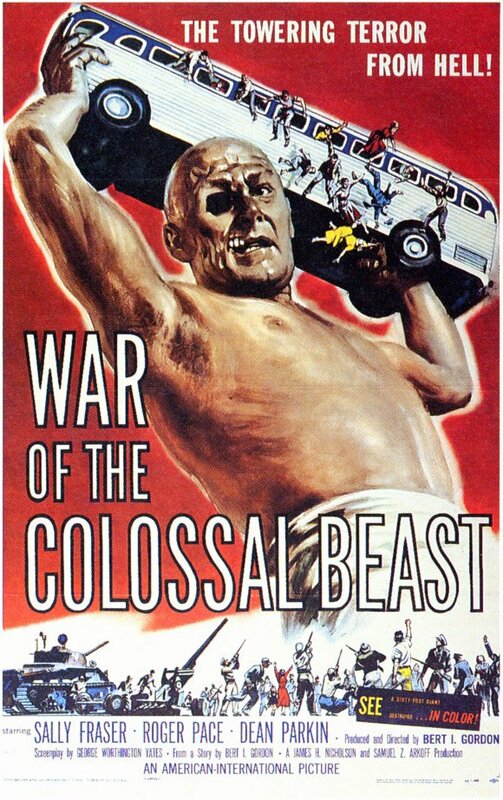 WAR OF THE COLOSSAL BEAST released June 30, 1958. The lower right hand corner of the above poster is telling the potential audience that the "Colossal Beast" will be destroyed in color. 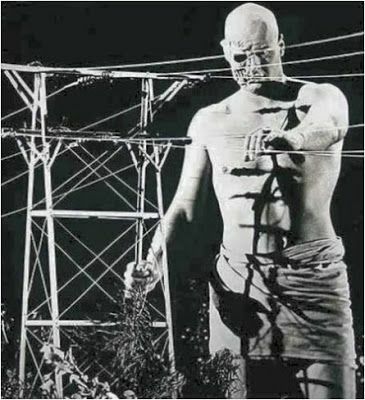 The movie was filmed in black and white and then Bert I. Gordon used a gimmick popular at the time in Teen aimed Horror pictures such as "I Was A Teenage Frankenstein" and "Return of Dracula". 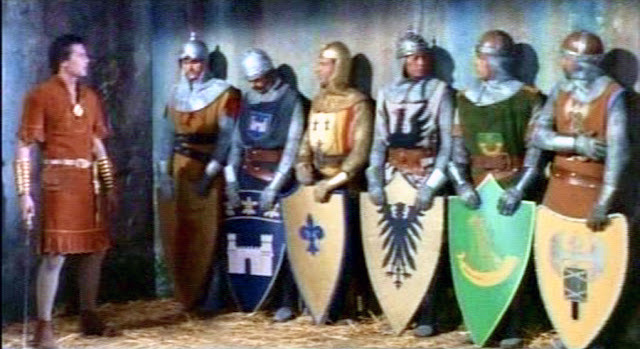 At a critical moment the film switched from black and white to color. It added to the enjoyment and saved the cost of filming in Technicolor, or another color process. In the case of "War of the Colossal Beast" that tag did two important things for the box office. One, it meant we knew his would be destroyed in some spectacular fashions, or we hoped he would be, and, two, that the destruction would be in color. 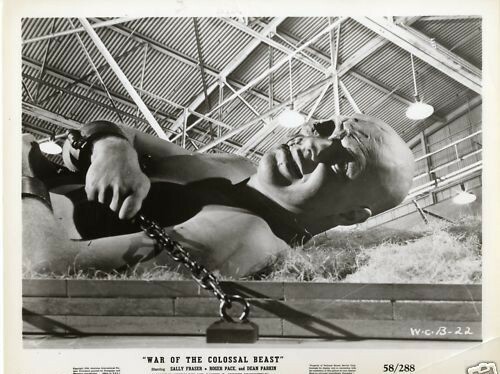 Duncan "Dean" Parkin was back as the "Colossal Beast" of the film's title/ In reality the character was "Lieutenant Colonel Glenn Manning" after his fall from Hoover Dam in "The Amazing Colossal Man". Apparently the serum injected into "Manning' in the first movie didn't return him to normal size, but did stop his growth. Now we have a new heroine "Joyce Manning" his sister portrayed by Sally Fraser. Fraser started her film career appearing on an episode of the television series "The Adventures of Wild Bill Hickok" starring Guy Madison and Andy Devine. She also appeared in an episode of "Space Patrol" the recognized forerunner of "Star Trek". Her first motion picture was as Peter Graves wife in Roger Corman's 1956 "It Conquered the World". 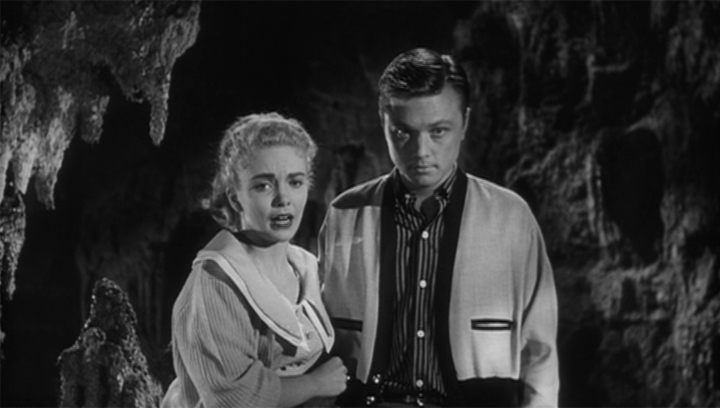 Also in 1958 she co-starred in the Science Fiction film "Giant from the Unknown". Besides this motion picture and one other by Bert I. Gordon I will mention next.Then Sally Fraser once again finished her career on television. Let's not get too nit picky here, but two points about "Joyce Manning" need to be pointed out. First where was she in "The Amazing Colossal Man"? "Glenn's" fiancee "Carol Forest" was attempting to find out what happened to him. "Carol" goes to the army and after finding out the truth. She assists the scientists attempting to help "Glenn", but there is never any mention of the "Lieutenant Colonel" having a sister. Then, in this picture, we have "Joyce" reading about food trucks being robbed in Mexico and based upon these very few newspaper stories. She becomes convinced that her brother didn't die at Hoover Dam after being shot with bazooka's and is doing all of the robberies. "Joyce" goes to the army for help. Following that thought I also wonder why Gordon didn't get both Glenn Langan and Cathy Downs to just repeat their roles in this sequel again for continuity? I could not find out either answer in my research, but know Langan couldn't find work between "The Amazing Colossal Man" and appearing on "The Loretta Young Show" in January 1960. Downs did do three television Western shows and "Missile to the Moon" in 1958, but can't figure why she couldn't have reprised the role of "Carol Forest" in a sequel? 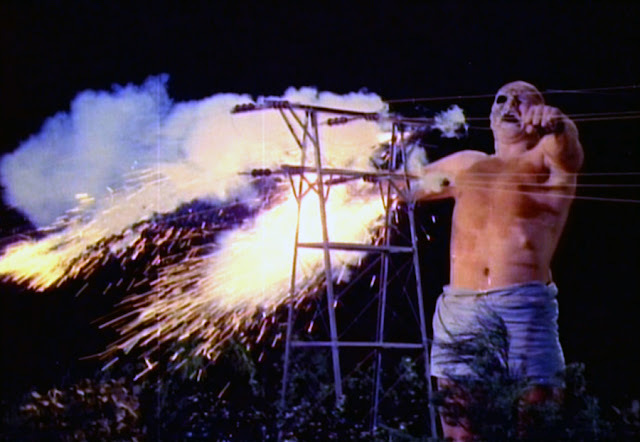 As such Bert I. Gordon had problems matching Duncan Parkin to the footage of Glenn Langan in some scenes before "Glenn Manning" was exposed to the Plutonium Bomb. 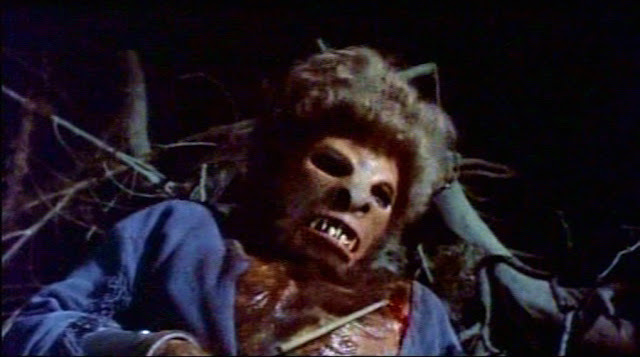 The make-up department had to increase Parkin's make-up to match Langan's skin tone in several sequences. 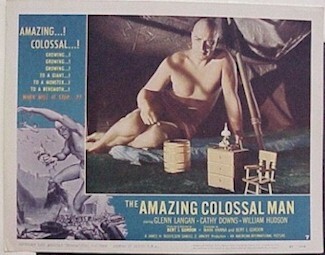 Actor Russ Bender was the only carry over from "The Amazing Colossal Man", but in a different role. In the first picture he portrayed "Richard Kingman" and in this picture he is now "Dr. Carmichael". 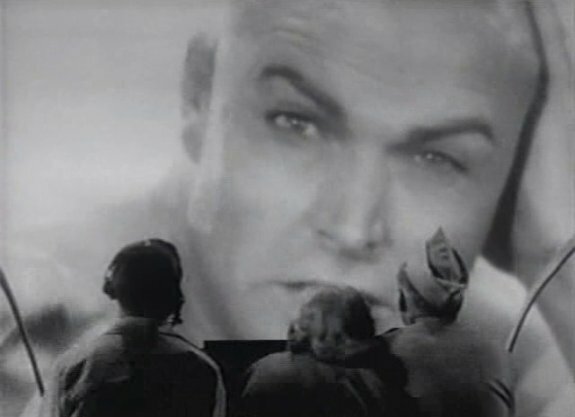 Below Bender,center, in "The Amazing Colossal Man". 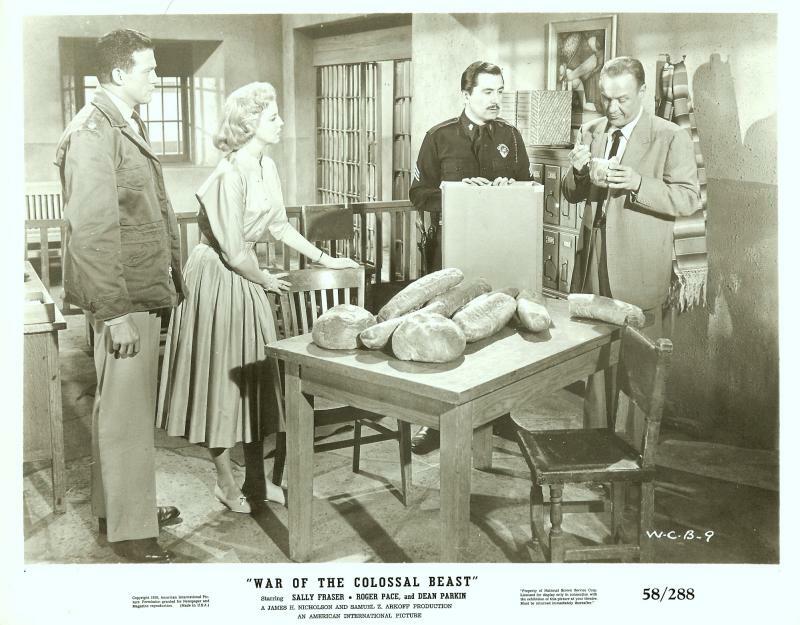 Below Bender with Sally Fraser in "War of the Colossal Beast". 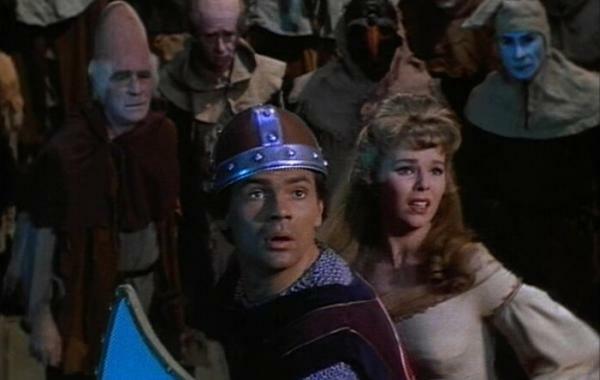 He was also in Roger Corman's 1956 "It Conquered the World" and in the comedy 1957's "Invasion of the Saucer Man". Among Russ Bender's other roles was also as a "Dr. Carmichael" in George Pal's 1953 "War of the Worlds". Army officer "Major Mark Baird" who decides to investigate "Joyce Manning's" story was portrayed by Roger Pace. Pace only has 10 screen roles and only three were motion pictures. Further investigation leads to a truck driver in a Mexico hospital. He claims to have seen a giant man. "Lieutenant Glenn Manning" aka: "The Amazing Colossal Man" aka now "The Colossal Beast" is located. The army drug "Manning" and take him back to the United States and place him in an hanger at the Burbank Airport in the San Fernando Valley. There is no "WAR" in this film, but "Glenn Manning" is cornered at the Griffith Park Observatory. A group of teens have been touring the observatory and return to their bus. "Manning" picks the bus up and it is up to his sister "Joyce" to get through to him and have "Glenn" put the bus down. Because it is night these sequences are the best looking in either movie. "Glenn Manning" now mentally himself realizes that he can not stay alive. 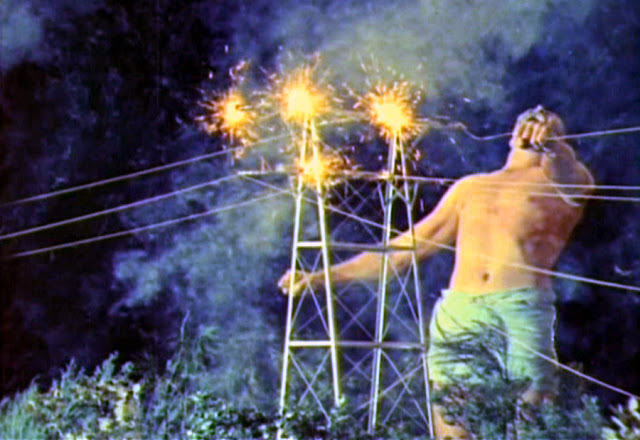 So here comes the color film, He approaches the power lines and when he touches it. 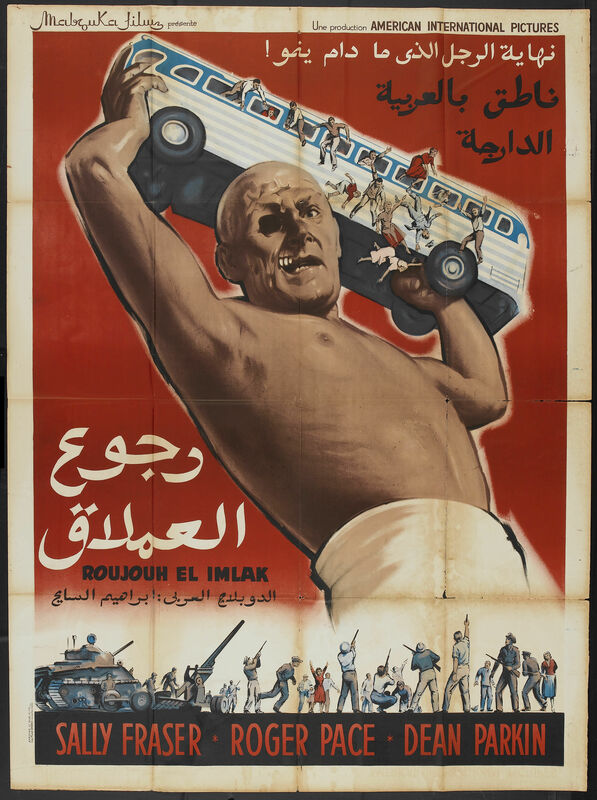 The film suddenly goes to color and we see the "Colossal Beast" DESTROYED in color as promised.. 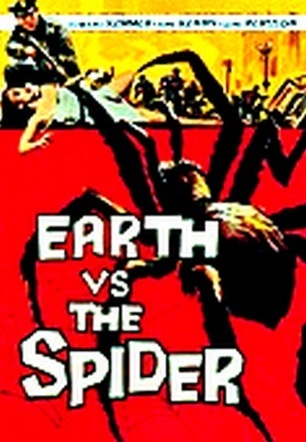 The movie has two alternate titles "The Spider" and "Earth vs the Spider". Which is fine for publicity, but when I saw "The Spider" the week it came out. 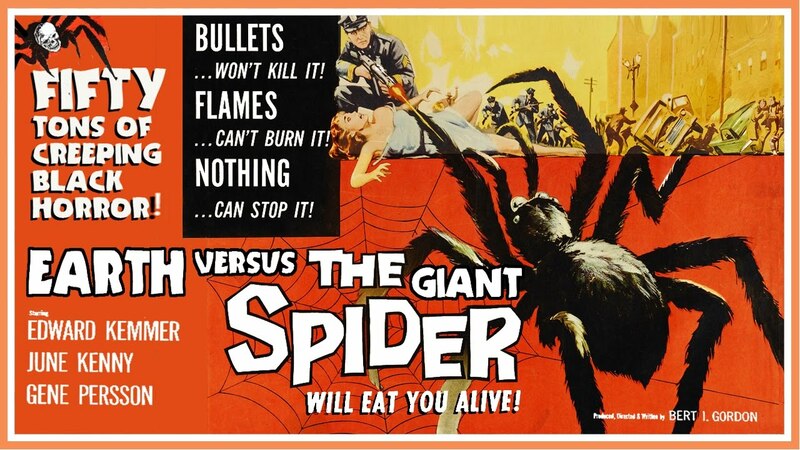 The on screen title was still "Earth vs the Spider". The reason for the change in title was that the original "The Fly", released two months earlier, had become such a big hit. The Bert I. Gordon wanted to play off that tile with "The Spider". 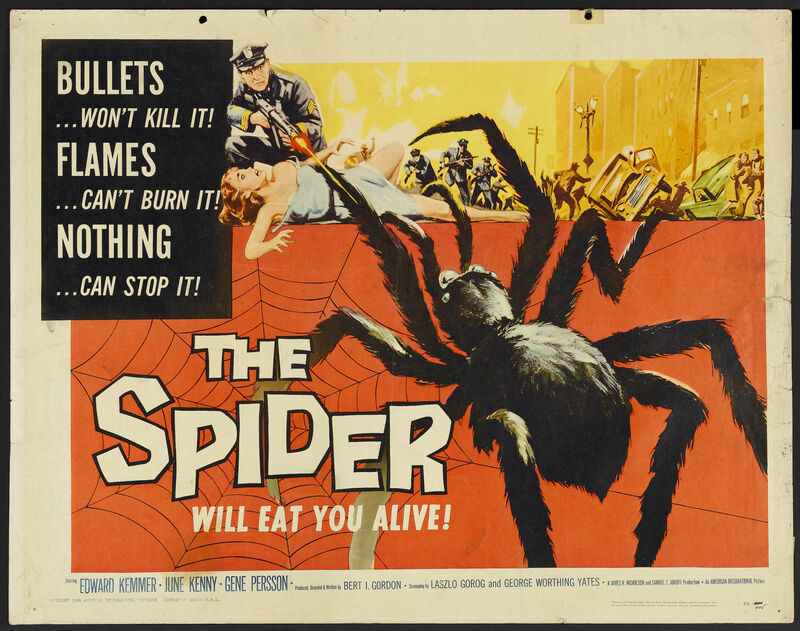 One could say Bert I. Gordon was remaking Universal Studio's 1955 movie "Tarantula" with rock and roll thrown in for good measure for further Teen audience interest, but although the giant spider scenes look a like. The plot at least is different. Below scene from "The Earth vs the Spider". Below a scene from "Tarantula". The screenplay was co-written by Lazlo Gorog. Gorog had written the screenplay for 1956's "The Mole People" and 1957's "The Land Unknown", but worked extensively on television. The other screenplay writer was once again George Worthing Yates. From this 11 year old's perspective the best part of the movie was the star Ed Kemmer as High School Science Teacher "Mr. Kingman". 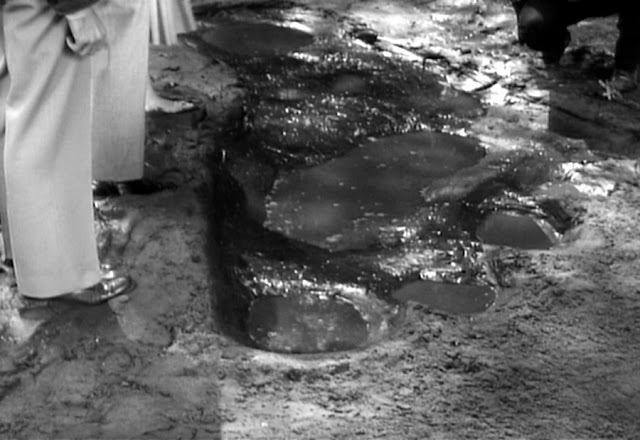 Although he did the majority of his work on television he had just been in 1958's "Giant from the Unknown". 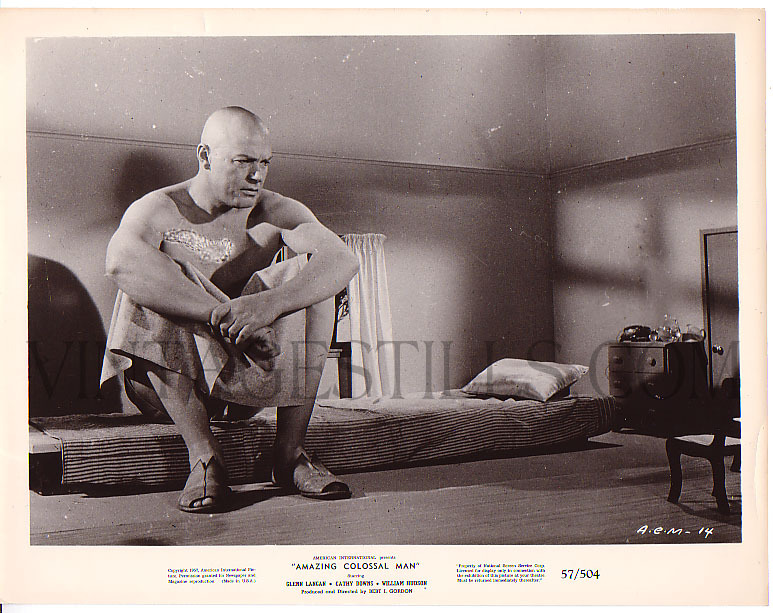 Kemmer had caught my attention, because of who he had played back in 1950. Ed Kemmer can be considered the original "Captain James Tiberius Kirk". As he portrayed from 1950 through 1955 "Buzz Corry, Commander and Chief" of the "Space Patrol". The first major made directly for television outer space series. Even Gene Roddenberry referenced the show as inspiration for "Star Trek". My article on "Space Patrol" and other early Science Fiction 1950's television programs can be read at:. June Kenney was now "Carol Flynn" the Teenage daughter of a missing man. At the time the actress was 25. "Carol" convinces her boyfriend, "Mike Simpson", portrayed by 24 year old Eugene Persson to go with her to find him. I point out the ages, because we all knew the actors in these films weren't really Teenagers. Steve McQueen was 28 when he played a one in "The Blob" and Robert Vaughn was 26 when he became a "Teenage Caveman" for Roger Corman. What "Mike" and "Carol" don't know, but the audience does, is that dad was killed by the title character. However, the "Teens" discover his wrecked truck, but no dad. They next enter a nearby cave, find a giant spider web that looks suspiciously like rope, and the spider. 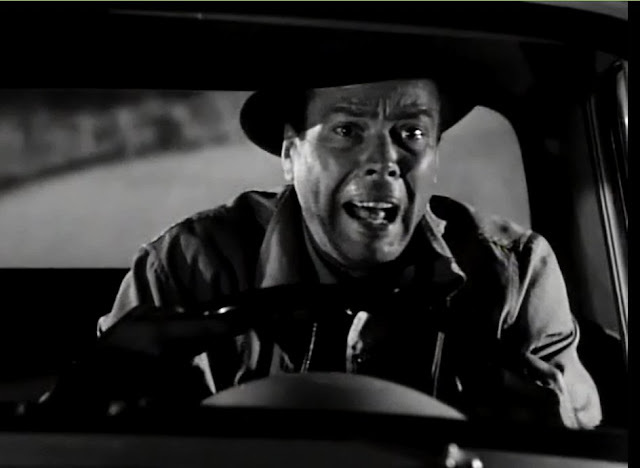 Going back to town "Mike" and "Carol" can;t convince "Sheriff Cage", portrayed by Gene Roth, of the title character and go to "Mr. Kingman" for help. The four return to the cave and find "Carol's" father completely drained of blood and the bones of another person. The spider attacks and the four are just able to escape. 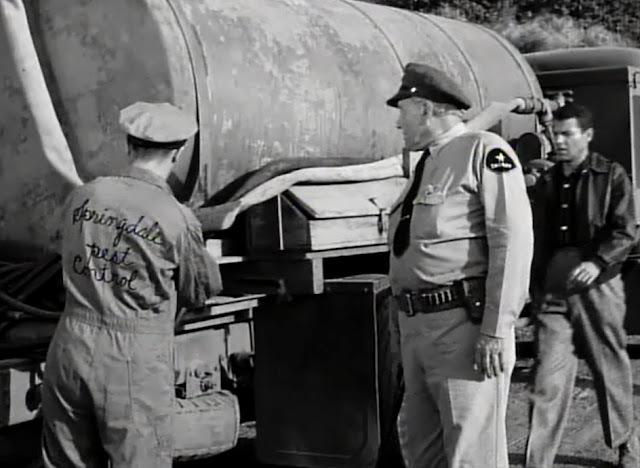 "Sheriff Cage" and "Mr. Kingman" decide to use DDT on the spider and get an exterminator to load up a large tanker truck returning to the cave. 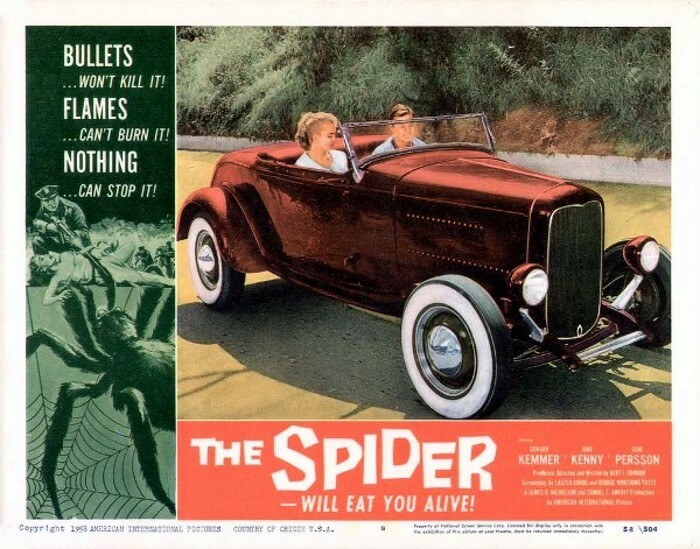 They spray the spider with the DDT and kill it, or so they believe. Next, as any sensible person would do, "Mr. Kingman" takes the body to the High School Gym. There's going to be a big school dance and members of a high school created band go to the gym to rehearse. Note how young these High School guys look. As they play, the spider, who was only stunned, comes out of it and starts to run a muck in the small town. The spider eventually returns to its cave and the "Sheriff" and "Kingman" seal the entrance with dynamite. Only to find out that "Carol" and "Mike" went into the cave to locate the bracelet she lost from her father. In the end the Teens are rescued and the spider electrocuted by "Mr. Kingman" and "Mike Simpson". Bert I. Gordon now referred too as "Mr B.I.G." 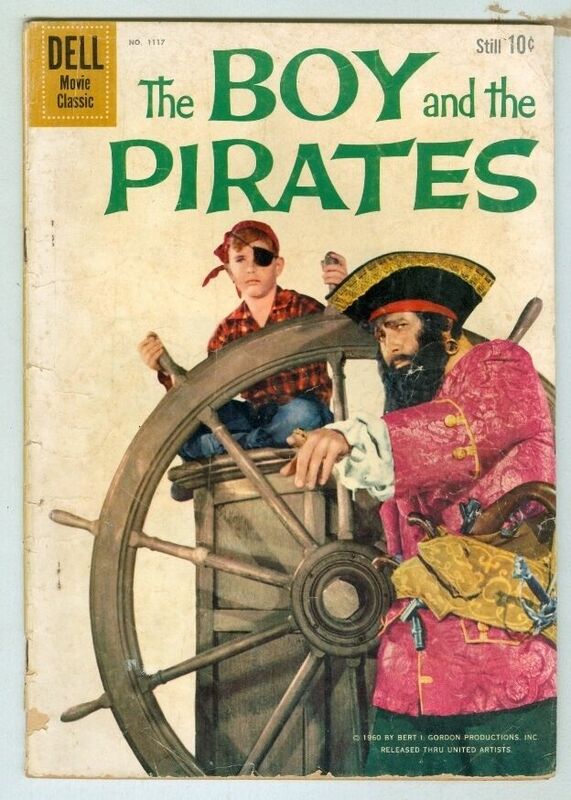 went family with "The Boy and the Pirates". Which was really a vehicle for his daughter Susan Gordon. The motion picture was in PERCEPTOVISION. 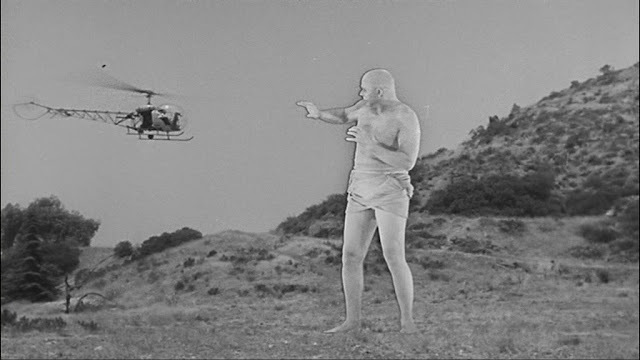 What ever that was, or should I say a process to complete with William Castle's different gimmicks and somehow Ray Harryhausen's Dynamation. In actuality it was a matte split screen process that worked extremely well. As I said the movie was made for Susan Gordon who has the double role of "Kathy" and "Katrina van Keif". Between her father's "Attack of the Puppet People" and "The Boy and the Pirates". Susan appeared on four television shows and two movies. The 1959 Danny Kaye feature "The Five Pennies" and a 1959 version of "Miracle on 34th Street" made for television. The story was designed as a family film, but there are still some very violent elements dealing with the pirates. "Jimmy Warren" has been having problems with his parents over his school grades. He goes down to the beach to play on an old ship wreck with a young girl named "Kathy". Looking around he finds a bottle and while holding it. 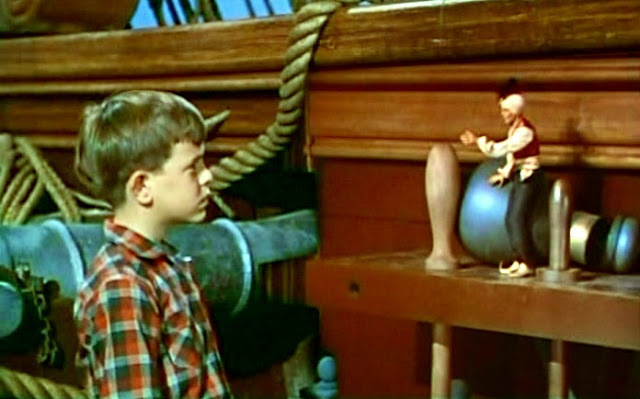 "Jimmy" makes a wish that he was on a pirate ship and suddenly he's on the "Queen Anne's Revenge". When he asks where he is? The jar pops open and out comes a genie. For those of my readers unfamiliar with the name of the pirate ship. This was the vessel of Edward Teach or his name might actually have been Edward Thatch, but the world knows him as "Blackbeard". 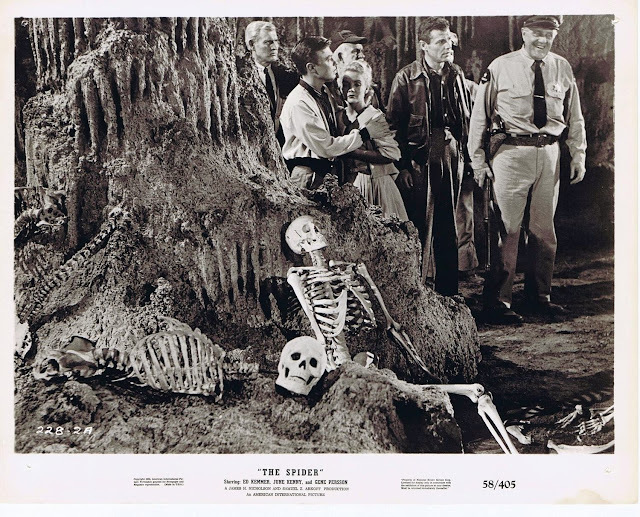 He's a favorite of Hollywood and was seen in 1952's "Blackbeard the Pirate" starring Robert Newton. Who portrayed the famous fictional pirate "Long John Silver" in Walt Disney's 1950 "Treasure Island". 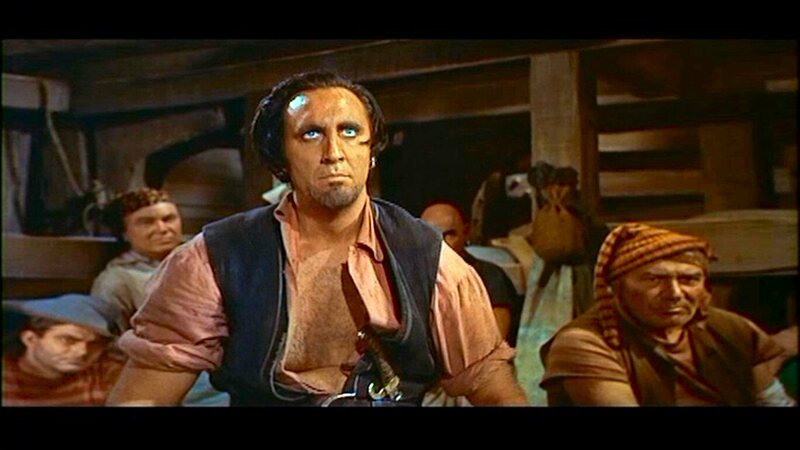 In 1968 Peter Ustinov portrayed "Black Beard" in Walt Disney's comedy "Blackbeard's Ghost" and Ian McShane played the pirate in 2011's "Pirates of the Caribbean" On Stranger Tides". "Blackbeard" appeared in many 1940's and 1950's pirate movies also, because of his recognizable name. 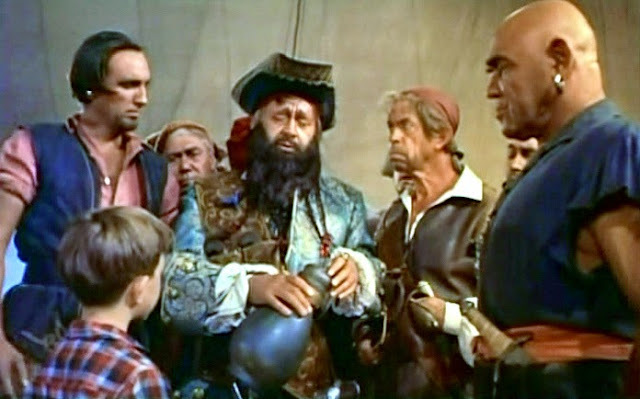 In "The Boy and the Pirates" "Blackbeard" was portrayed by Murvyn Vye. Vye's screen roles included the 1948 Western "Whispering Smith" starring Alan Ladd and Robert Preston, the 1949 Bing Crosby and Rhonda Fleming version of Mark Twain's "A Connecticut Yankee in King Arthur's Court" portraying "Merlin", 1954's "River of No Return" starring Robert Mitchum and Marilyn Monroe and 1958's "Rally 'Round the Flag Boys" starring Paul Newman and his wife Joanne Woodward. Not to mention all those appearances on television shows. Above "Blackbeard" questions "Jimmy" about how he got on board the "Queen Anne's Revenge" and doesn't believe the story about a genie in the bottle. 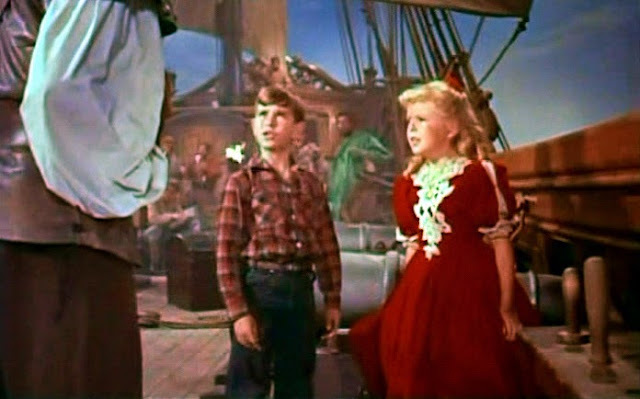 "Jimmy" is put to work as a cabin boy and must rescue "Katrina van Keif". He also must somehow return home with the help of the genie. As he realizes the life of a pirate isn't as glamorous as he thought and that his parents are just concerned about his future. After his "Family Film" Bert I. Gordon turned to a horror entry. 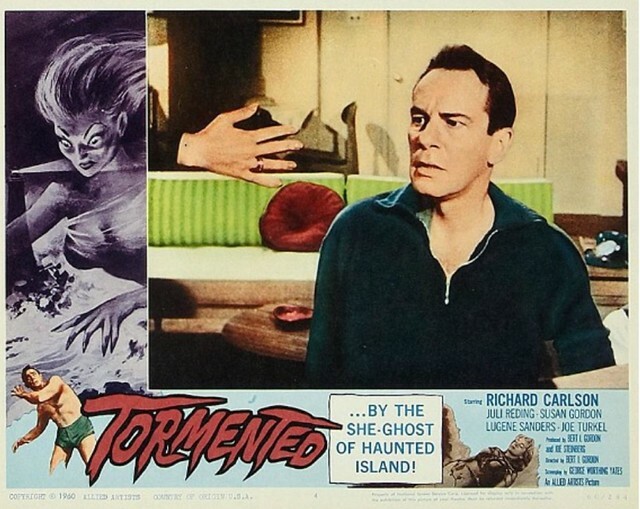 The writing team of Bert I. Gordon and George Worthing Yates came up with "Tormented", Not the normal Gordon production, but it fit the films being released in 1960. 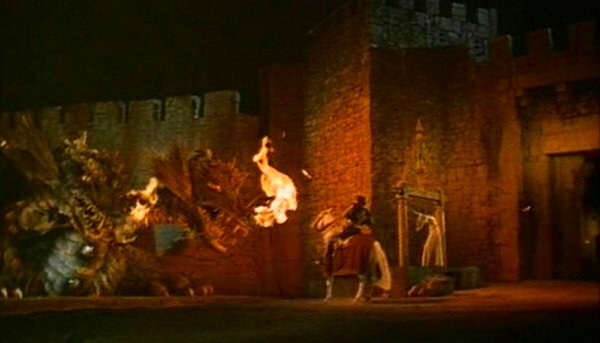 There were 29 horror films that included Roger Corman's first Poe feature "The House of Usher", William Castle's original "13 Ghosts", Hammer Films "The Brides of Dracula" without "Dracula", the original classic British "Village of the Damned", Mario Bava's "Black Sunday (Mask of Satan)" and of course Alfred Hitchcock's "Psycho". And, yes, portraying "Sandy Hubbard" was Bert I. Gordon's daughter Susan Gordon. Jazz pianist "Tom Stewart" is prepared to marry "Meg Hubbard" portrayed by Lugene Sanders. Don't recognize her name? This was Lugene's fourth and final role and her only motion pictures. To those 1953 through 1957 fans of Willian Bendix's television series "The Life of Riley". The actress portrayed his daughter "Babs" in 59 episodes. Everything seems perfect until "Tom's" ex-girlfriend "Vi Mason", Juli Reding, shows up. Between 1957 and 1987 Reding appeared mainly on television and in that 30 year period her roles only totaled 21. "Tom" and "Vi" meet at a Lighthouse on the Massachusetts island he lives upon with "Meg" and other residents..She informs him of her plan to reveal their torrid affair to "Meg" unless he pays her a large sum of money. The two argue and it becomes physical as "Vi" accidentally falls off the Lighthouse to her death. 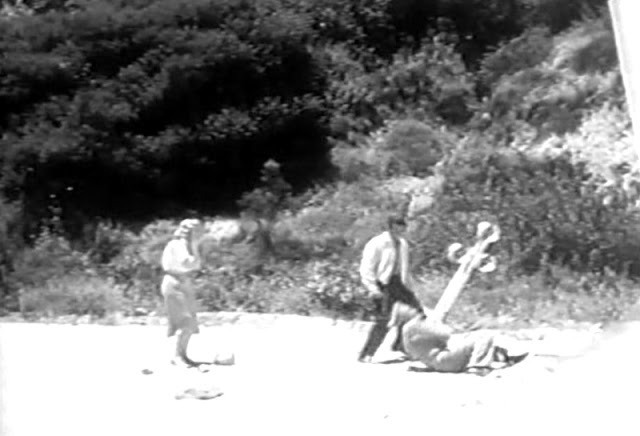 The following day on the beach "Tom" finds "Vi's" body washing a shore, but when he attempts to take it. The body turns into seaweed. 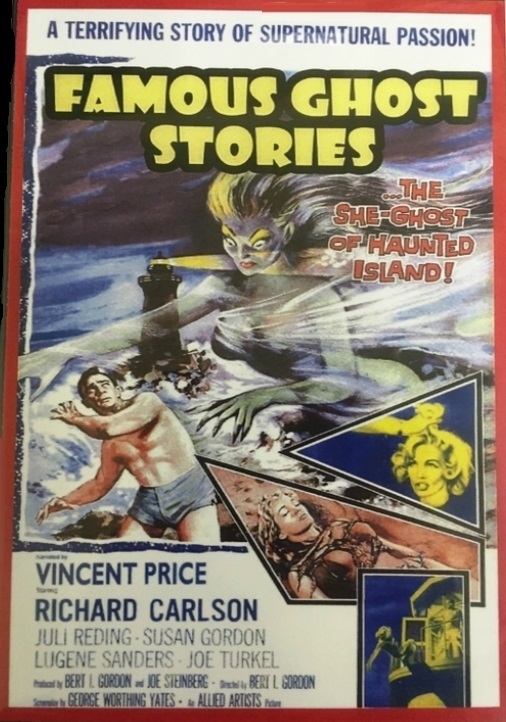 This is followed with "Vi's: watch washing a shore, a women's footprints mysteriously appear on the sand and then "Vi's" ghost appears to him. The ghost tells "Tom" she will TORMENT him for the rest of his life. Later when "Sandy" asks "Tom" to see the wedding ring he brought for her sister. A disembodied hand appears and takes the ring. "Sandy" remains quiet about what she saw, but at a party given for "Meg" and "Tom". In a photograph taken by a guest "Vi's" disembodied head appears in the photo. At the wedding ceremony for her sister and "Tom". When the Minister asks is there anyone who knows why "Meg" and "Tom" should not be married? Sandy almost speaks up about what she saw with the ring, but doesn't. Suddenly the doors of the church burst open and the flowers start to wilt stopping the wedding completely. That night "Tom" goes to the Lighthouse to confront "Vi's" Ghost. What he doesn't know is that "Sandy" has followed him and now overhears the whole story. He grabs the girl and takes her to the broken railing that was caused by "Vi's" falling over it. However, "Vi's" ghost saves the girl and forces "Tom" to fall to his own death. The residents of the island go searching for "Tom's" body, but discover "Vi's" first. The lay her on the beach and continue searching. "Tom's" body is found and placed on its back next to "Vi". However, when they look again at the two. "Tom" is now lying on his side with his hand over"Vi" and she is wearing the engagement ring he bought for "Meg". The two are now forever connected. In 1961 Bert I. Gordon made a pilot for a possible television series. Notice anything familiar about this promotional poster for Bert I. Gordon's television series? It failed as a pilot to be sold. Even though Vincent Price portrayed a poltergeist who would host each episode, but instead of new material. 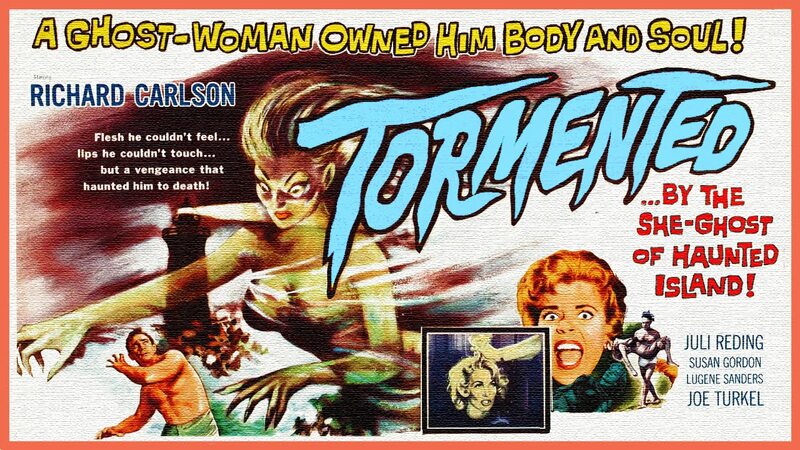 All Gordon did was re-edit "Tormented". The story of the bold adventurer who held a fantastic sword...and faced the most fearsome black magic that ever gripped the screen! Remember we are talking Bert I. Gordon here, BUT he finally had a budget and Eastman Color. The end result still is a fun motion picture for his fan base. The screenplay was by Bernard C. Schoenfeld. Except for the screenplay for the 1948 "B" Film Noir "The Phantom Lady" starring Franchot Tone. 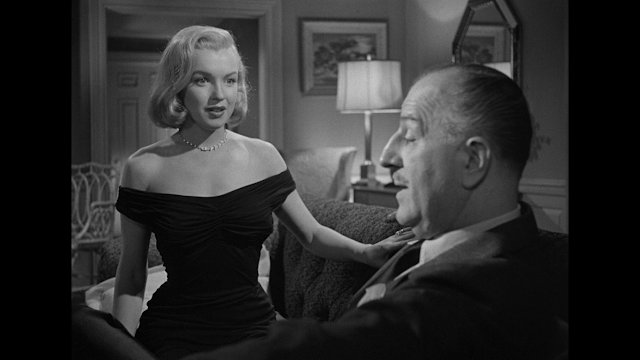 Schoenfeld worked in television for the ten years proceeding this motion picture and returned to it after this screenplay. However, with his variety of work from Westerns, Alfred Hitchcock, children's stories and detective drama's he was a very good choice for Gordon. The basis of the tale was the story of "St. George and the Dragon". The working title was "The Seven Curses of Lodac", but it was changed, depending upon country of release, to "St. George and the Dragon", "St. George and the Seven Curses" and in the United States "The Magic Sword". In honesty there was no mention of "St. George", or "Saint" anyone. The star of the motion picture was Basil Rathbone as the evil magician "Lodac". Basil Rathbone had been guest starring on several television programs since 1949 and appeared in an occasional motion picture. The first was in 1955 in the Danny Kaye comedy "The Court Jester". 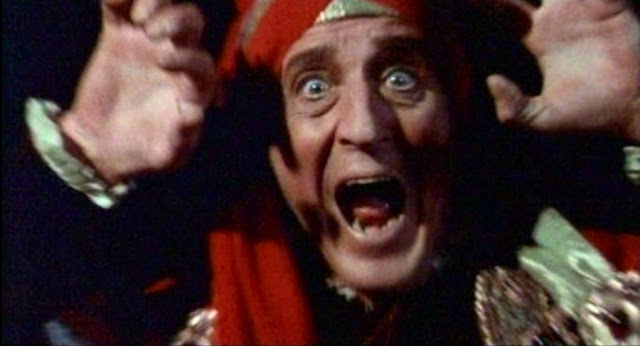 Rathbone had a chance to parody himself from 1939's "The Adventures of Robin Hood" in this classic comedy. The following year he was the evil doctor experimenting to save his wife in "The Black Sleep". 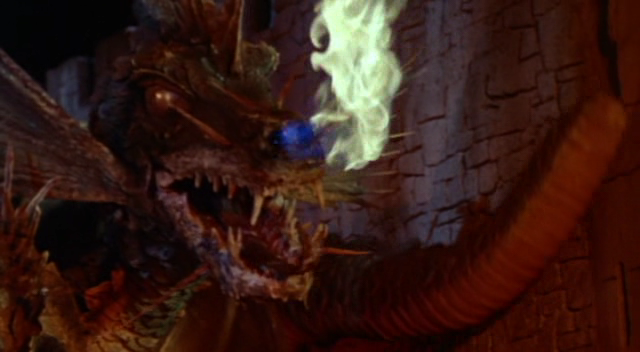 He would follow "The Magic Sword", also in 1962, with Rodger Corman's "Tales of Terror". The "George" of the picture is a young man being raised by a somewhat inept sorceress after his "Royal Parents" died of the plague. 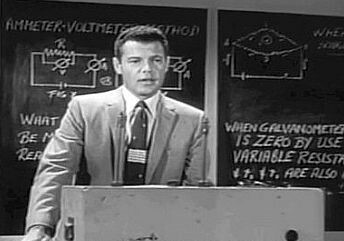 He was portrayed by Gary Lockwood. Lockwood had appeared only seven times, five without on screen credit, before this feature. He starred in the one season forgotten television series "Follow the Sun" ending the same month as this movie opened. In 1963 he was "The Lieutenant" in another one season television series. Then he started making appearances on other television series. The one exception was a "Dr. Frank Poole" in Stanley Kubrick's 1968 "2001: A Space Odyssey". Portraying the "Princess Helene" was Anne Helm. Canadian born actress Anne Helm had 29 appearances between Canadian and American television shows. This was her first motion picture in her career of 84 roles. 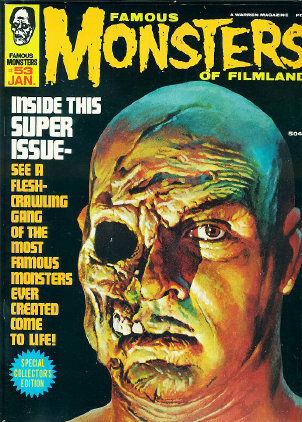 Two other features Helm starred in are the forgotten 1963 British film "The Iron Maiden" and 1969's "Nightmare in Wax" starring Cameron Mitchell. 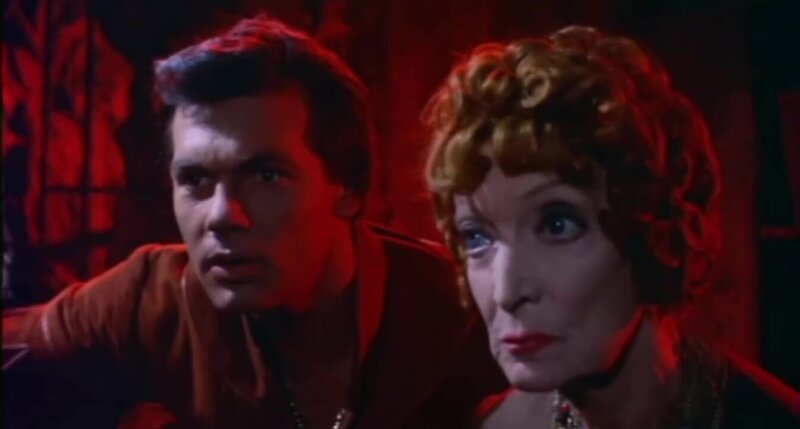 Portraying, "Sybil", the sorceress who raised "George" was Estelle Winwood. Who was known mostly for her legitimate theater roles. However, during the 1950's Winwood made appearances on television and in motion pictures. She played Leslie Caron's "Fairy Godmother' in 1955's "The Glass Slipper", she was in Walt Disney's 1959 "Darby O'Gill and the Little People" co-starring a singing Sean Connery and had a small role in director John Huston's 1961 "The Misfits". 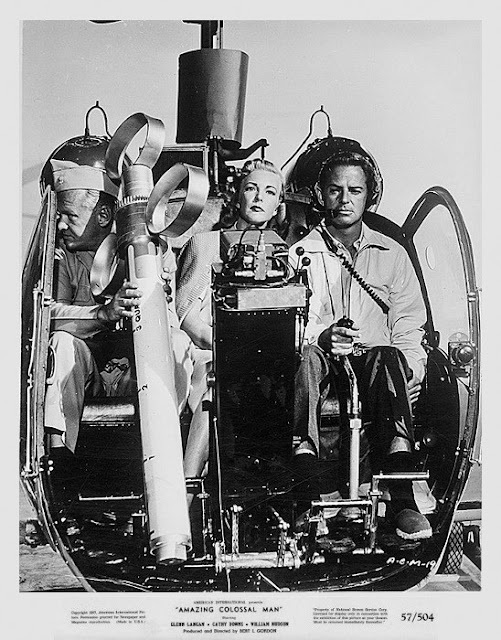 Strangely the last movie ever made by Clark Gable, Marilyn Monroe and Montgomery Clift before their deaths. Portraying the evil "Sir Brandon" was Liam Sullivan. Although his name might sound as from the U.K. Sullivan was actually born in Illinois. He had been appearing on television programs since 1950. Like Anne Helm this was Sullivan's first motion picture and in fact his only motion picture. Liam Sullivan is seen below with Merritt Stone as "Prince Helene's" father. 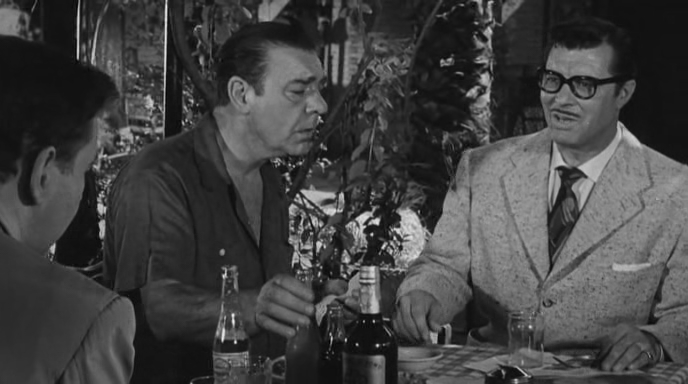 Stone only had ten roles in his career and four were for Bert I. Gordon. This picture, "The Spider", "War of the Colossal Beast" and "Tormented". The plot is very basic as "Lodac" kidnaps the daughter's of "Kings" and holds them for ransom. Should the "King" not pay it by the stated date. 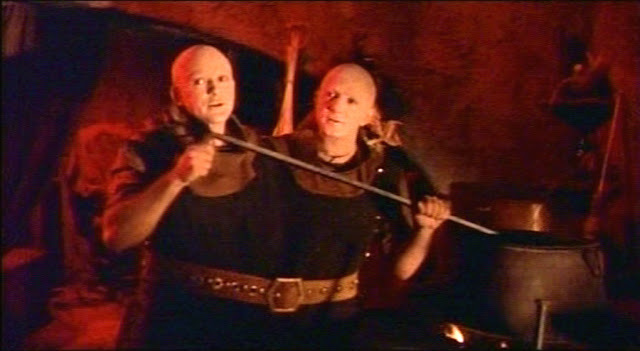 Their daughters are fed to "Lodac's" two headed dragon. Young "George" sees "Princess Helene" in "Sybil's" magic pool and falls in love with her. He also sees "Lodac" appear at her father's court and makes his demand. "Lodac" knows there will be a hero attempting to save the "Princess", but warns of the seven curses on the way to his castle. "Sybil" will not let "George" go against "Lodac" whom she has fought in the past. "George" tricks her, locks "Sybil" up in a room she will need a magic spell to open, if she can remember it. "George" than takes the magic sword, a shield, invulnerable suit of armor and a special horse the sorceress was saving for his 21st birthday later that year. As he starts to leave he passes six knights who were magically frozen and wishes they were able to join him. As he makes a pass with the sword they come to life and for freeing them join his quest to save "Helene". Actually "Sir Brandon" has found "Lodac's" magical ring which contains most of the sorcerer's power. Brandon thinks he's made a deal with "Lodac" to save the"Princess" and gain a kingdom in exchange for the ring, but "George" and his six knights turn up at the castle. "Brandon" appears to agree with the "King" that they should accompany him, but makes a comment about Seven Knights and Seven Curses prior to their leaving. Bert I. Gordon creates some interesting characters in "The Magic Sword" besides "Lordac's Dragon". At "Sybil's" house is a Siamese twin assist. 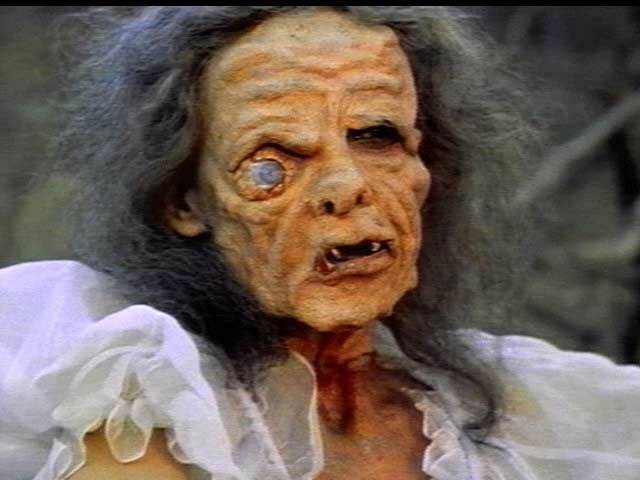 There's a beautiful girl who is really an old hag witch. However, it is not the same actress, The Hag is portrayed by Maila Numi best known to my generation as television's "Vampira". Nurmi as "Vampira" from Ed Wood's "Plan 9 From Outer Space". There are several Dwarfs and other creatures in "Lodoc's" castle that the Witch is their leader. There's a Giant Ogre to fight. There is a cave with deadly Green Apparitions. There is another curse of an invisible heat field. In the end "George" fights the Dragon, "Brandon" is killed by "Lodoc", and "Sybil" fights and kills "Lodoc" after gaining his ring of power..
What makes this adaption of H.G. 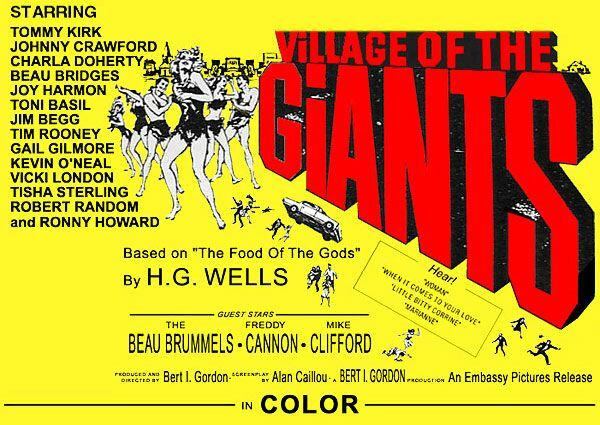 Wells' "Food of the Gods" memorable isn't the quality of the screenplay, which was typical 1950's television family fare, or the excellence of the movie itself, what excellence? It was WHO was in it that contributes to the film's cult status. Take a look at the names on the following poster. 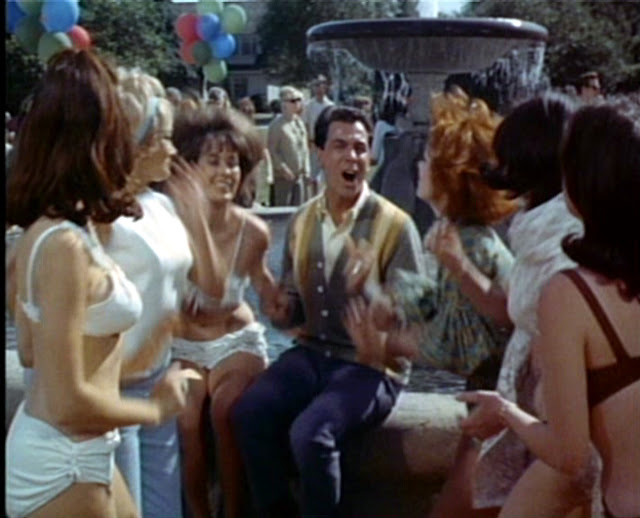 The screenplay by Bert I. Gordon and Alan Calliou was a parody of all the Teen movies ever made to date. Alan Calliou was actually Alan Samuel Lyle-Smythe M.B.E. (Most Excellent Order of the British Empire) M.C. (Military Cross). He had been a member of the Palestine Police prior to World War 2 and British Intelligence during that war. Calliou became a professional hunter, an actor, an author and screenplay writer. As an actor he has 82 screen credits in both the United States and the U.K. consisting of both motion pictures and television. As a screenplay writer he has 27 credits including this feature and the 1970 movie "The Losers". About a group of "Hell's Angle" types hired to go on a rescue of a Presidential adviser in Vietnam during the war. 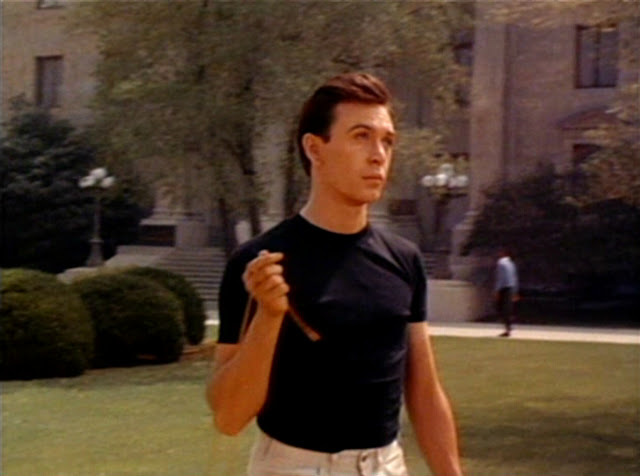 The two main stars were Walt Disney alumnus Tommy Kirk, "Old Yellow", "Babes in Toyland" and the original "Shaggy Dog" among other features. 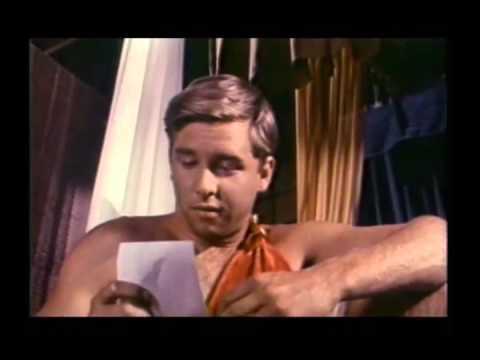 Tommy Kirk was "Mike" in this picture. The other was ex-Mouseketeer Johnny Crawford better known as "Mark McCain on television's "The Rifleman" as "Horsey". The "Food of the Gods" in this film is called "Goo" and it's created by "Mike's" younger brother "Genius" portrayed by Ronny Howard. Ron Howard had been acting on television since 1956 and probably is best known for two roles. The first "Opie" on "The Andy Griffith Show" for 224 episodes and as "Richie Cunningham" on "Happy Days" for 170 episodes. In all he portrayed 88 different television roles between 1950 and 2018. Then there was future director Ron Howard who to date has directed 43 feature films and produced 91. Although he had been on television programs since 1955. This was the first motion picture appearance for Lloyd Bridges' eldest son Beau as "Fred" the trouble maker of the group. Tisha Sterling was "Jean". She was the daughter of actor Robert Sterling, the 1950's television series "Topper" and Irwin Allen's motion picture "Voyage to the Bottom of the Sea", and comedy/singer actress Ann Sothern,. This was Tisha's first motion picture. Over her career she appeared mostly on television. Tim Rooney was "Pete". He was the son of actor Mickey Rooney and like Tisha appeared mostly on television. When I did it, I was about 18 or 19, and I took it all quite seriously. I thought it was my chance to really be a spokesperson for my generation, you know? I had that long speech when I'm in the theater, and I've eaten this goo ... I address the police chief of the town about the young people, the teenagers, that he says are losing control, and I speak out about freedom and everything. I took it so seriously, and I think I even rewrote my lines. Now, though, it's, uh, a little embarrassing. Bridges becomes the leader of the rebellious teens who have become "The Giants" of the title by eating Ron Howard's goo. "Mike" and "Horsey" are the leaders of the other Teens who have to find a way to stop the giants. This comes from "Genius" still experimenting and finding an antidote to his "Goo". 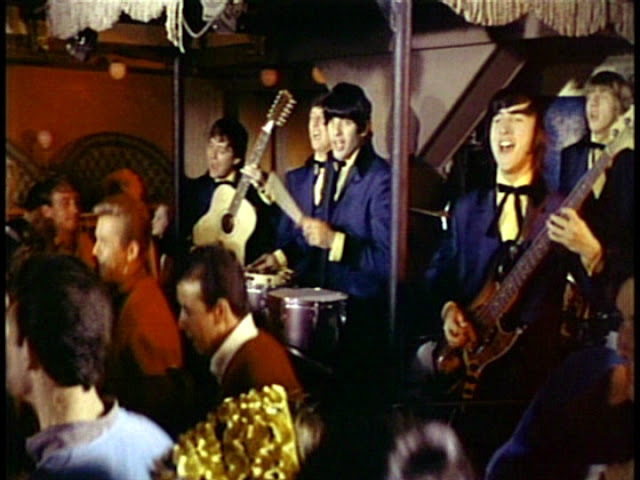 Following Teen movies of the period there was also music. Singer Freddy Cannon, "Tallahassee Lassie", "Way Down Yonder in New Orleans" and "Palisades Park" appeared as himself. 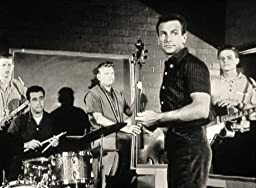 "The Beau Brumuels" a forgotten rock and roll band of the period are also in the film. On June 18, 1976 and still having the rights to the H.G. 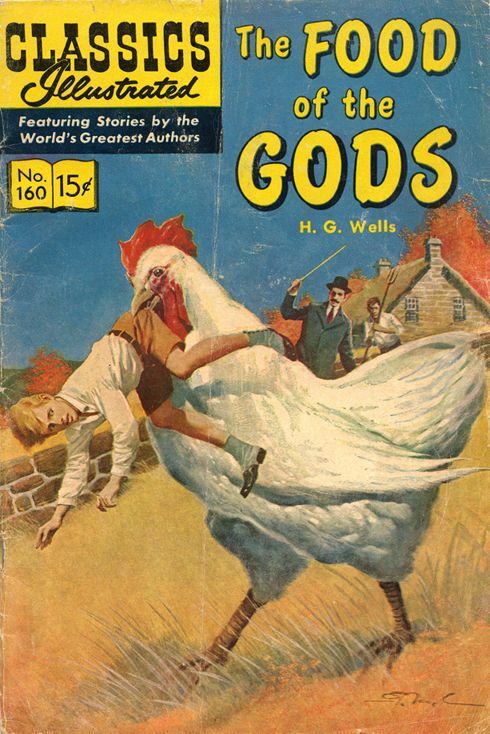 Wells story "Food of the Gods". Bert I. Gordon made another film based upon the novel and with that title. 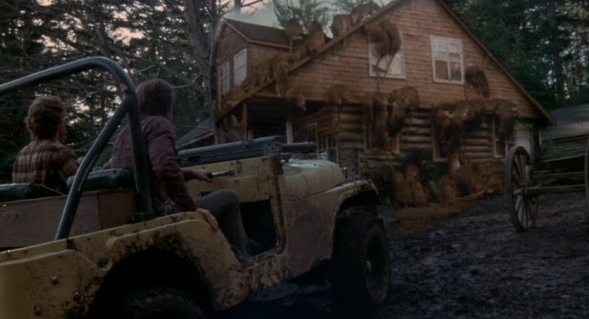 The story has a group of friends going to a remote island in Canada to hunt, but instead find giant animals, mostly rats, who start killing them instead. 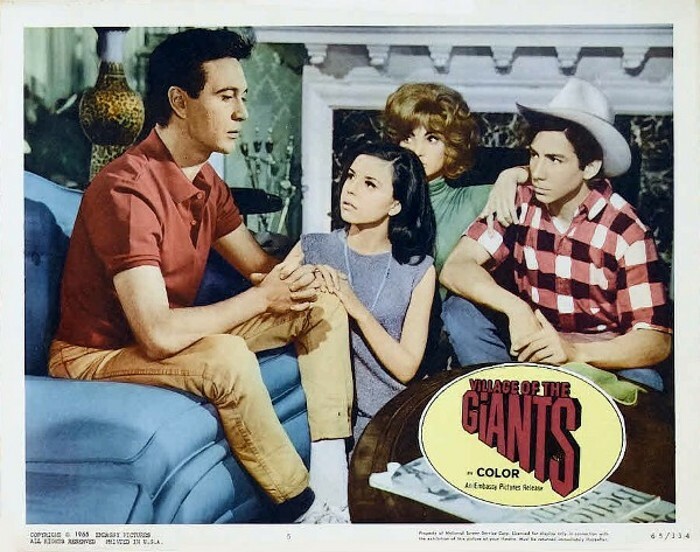 Where "Village of the Giants" reflected the innocence still in the country in 1965. 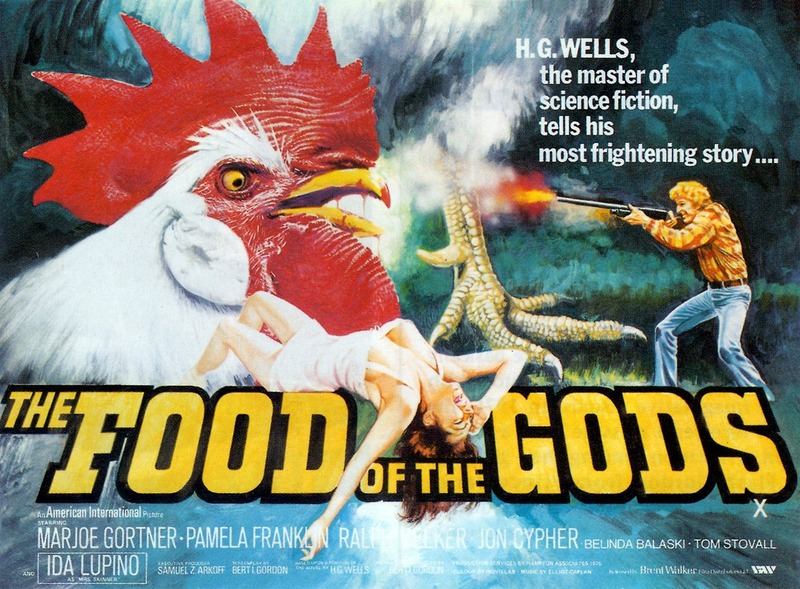 "Food of the Gods" reflected the change in attitudes that started during the later years of the Vietnam War and the rise of realistic movies and bloody horror films. This poster for the film was based not only upon the novel but a cover of the popular, when I was growing up, "Classic Illustrated" comic book cover. Besides "Food of the Gods", Bert I. Gordon would produce nine other feature films through 1989 and then come out of retirement in 2015 to make "Secrets of a Psychopath", It was about two siblings that lure unsuspecting victims, through a dating site, for fun and games and murder. 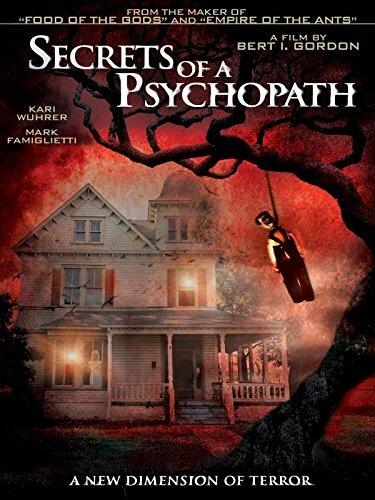 "Secrets of a Psychopath" was a long way from the 1950's innocence of "The Amazing Colossal Man", or "Attack of the Puppet People" "Mr B.I.G" would always be associated with. Over his career Bert I. Gordon would direct and produce 24 motion pictures and be credited as the writer on 20 of them. Below Bert, Susan and his wife Flora.